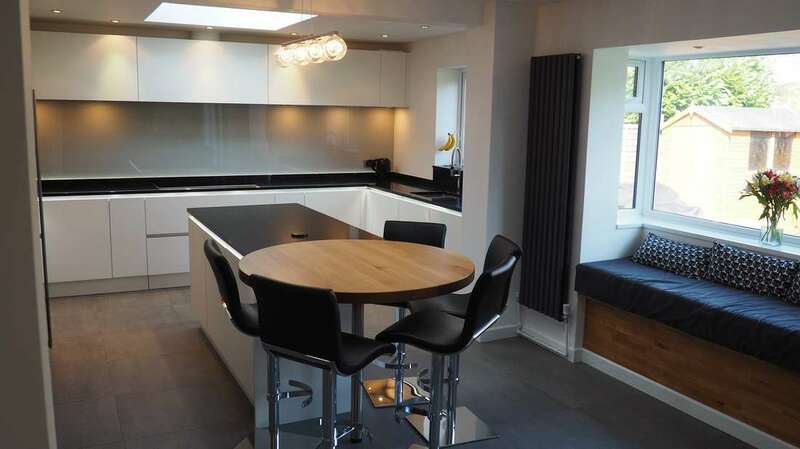 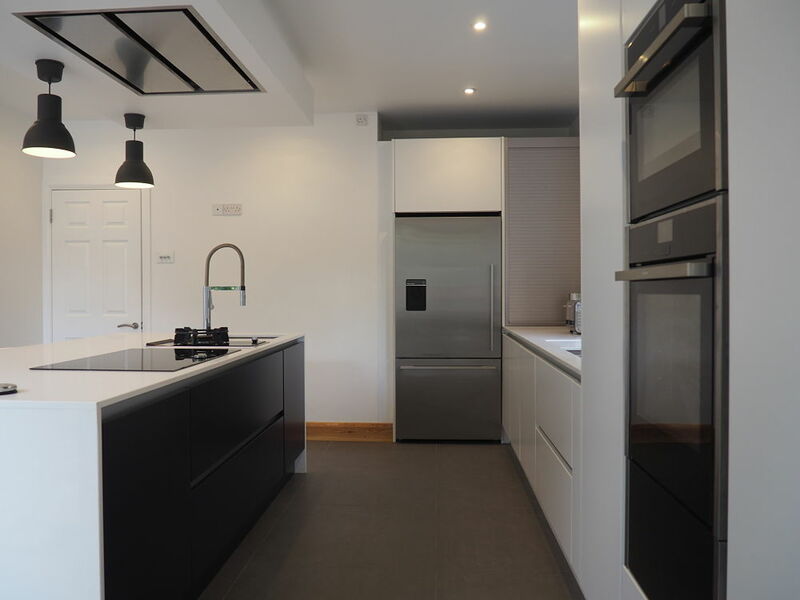 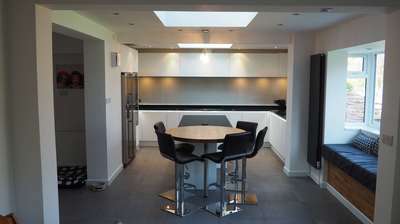 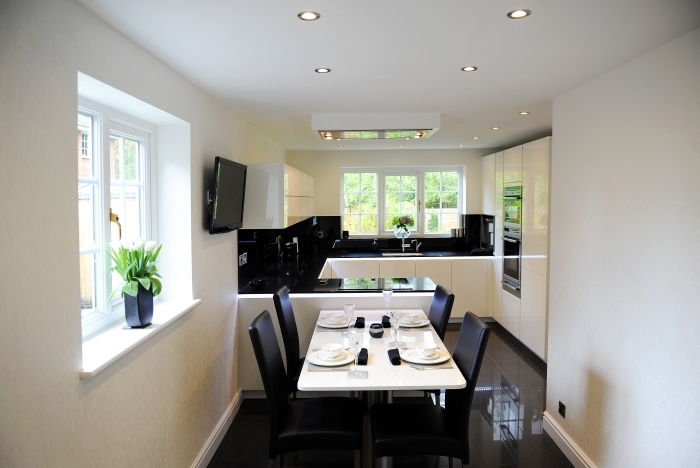 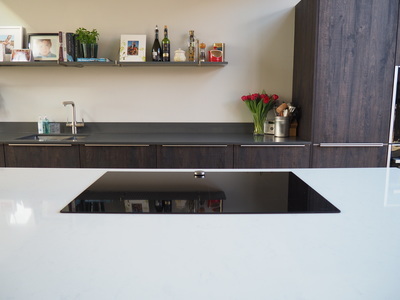 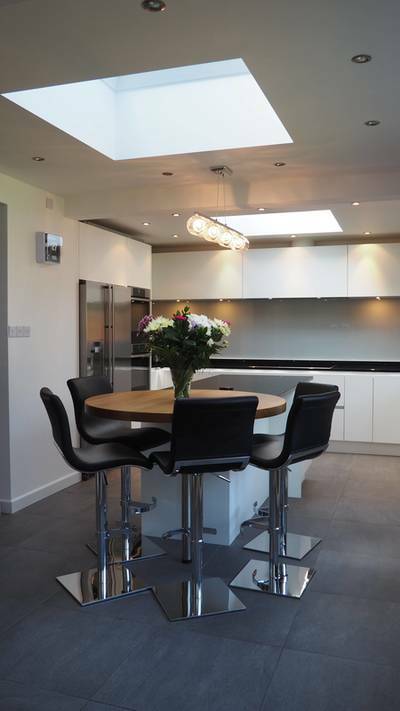 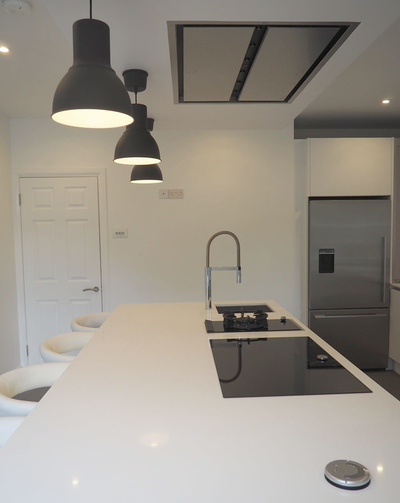 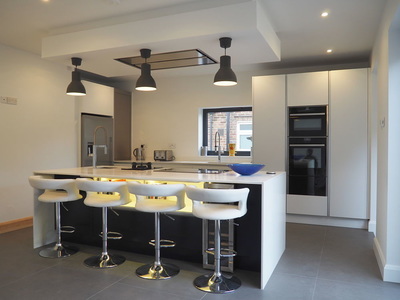 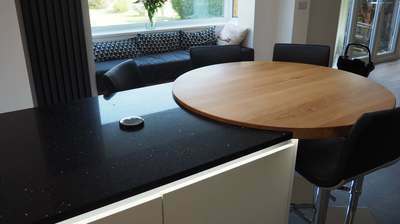 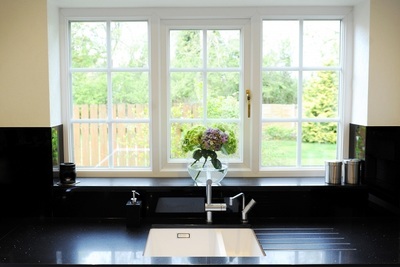 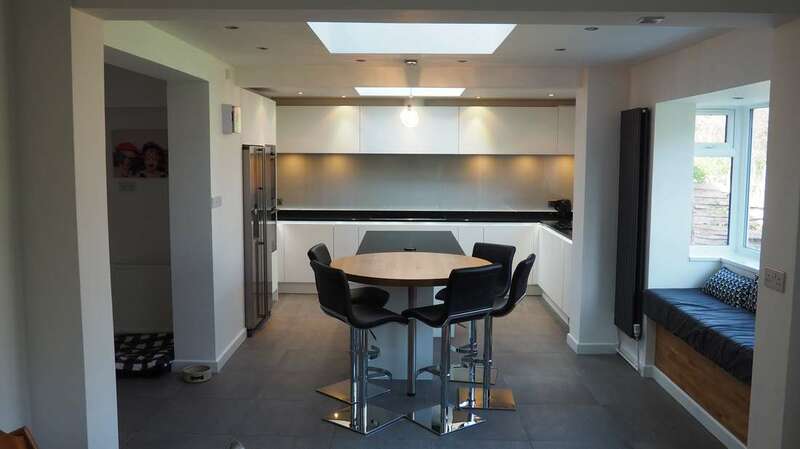 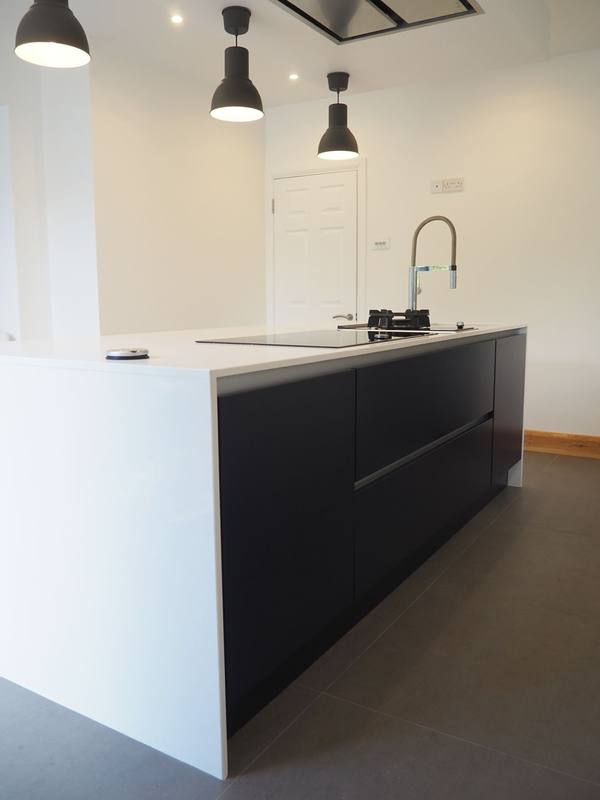 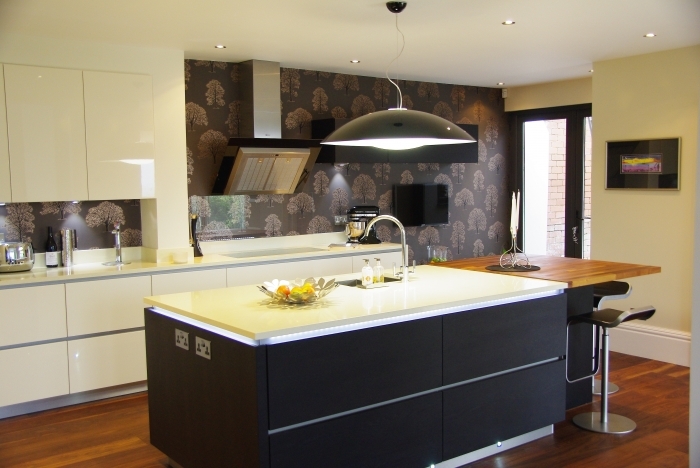 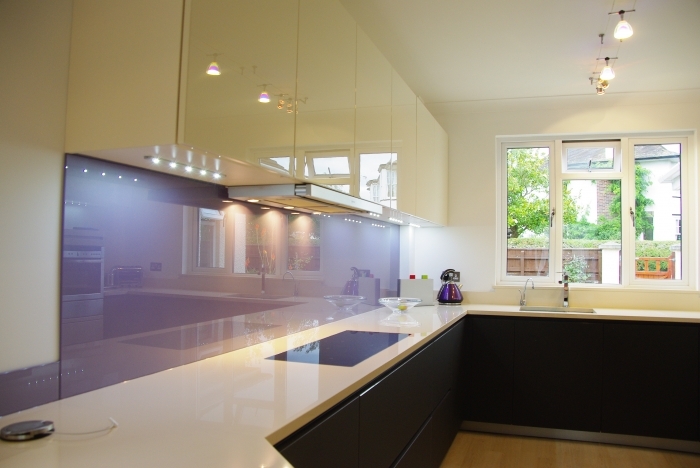 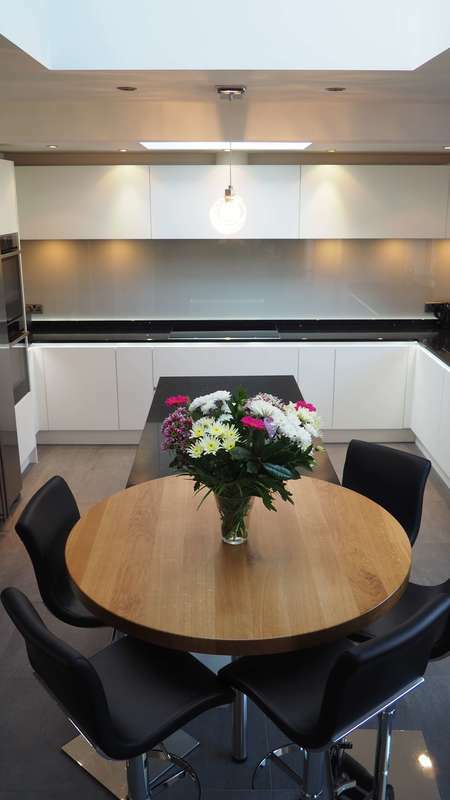 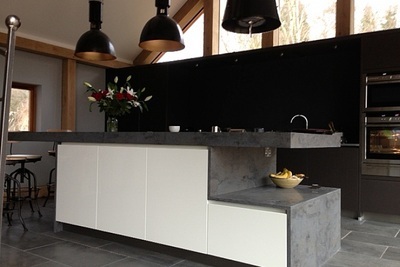 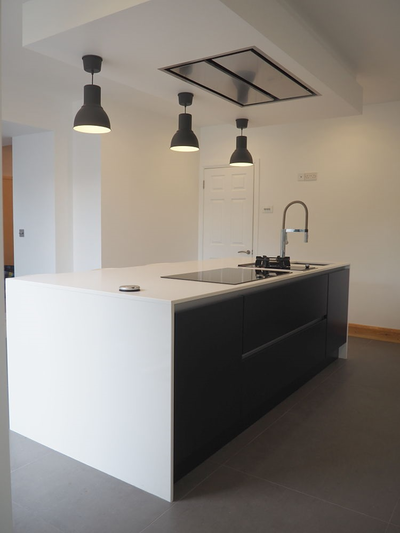 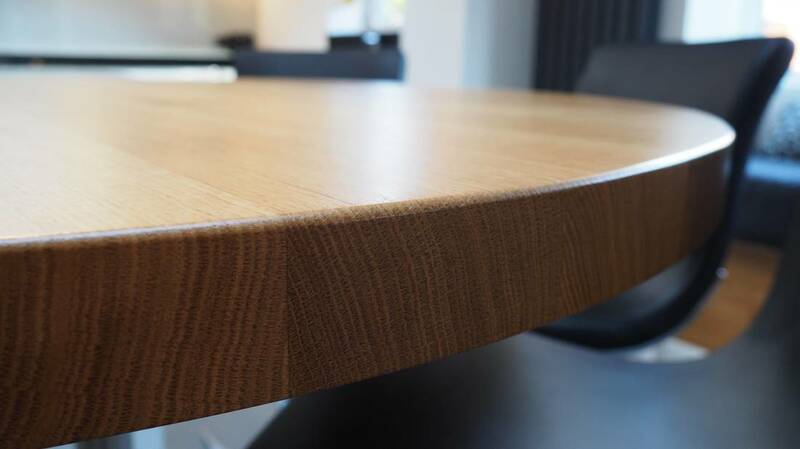 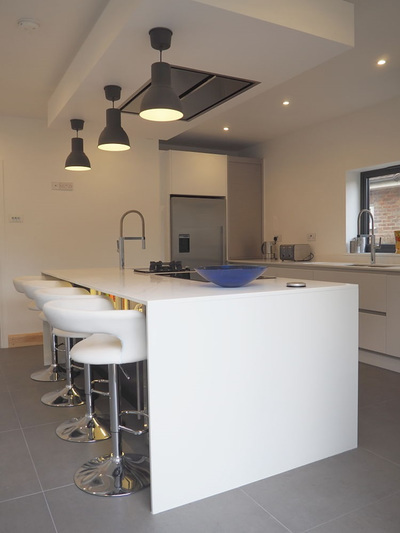 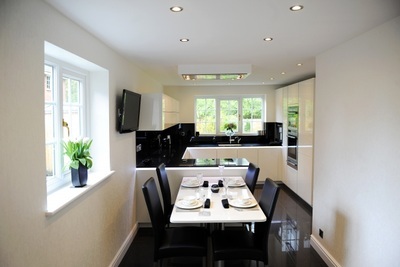 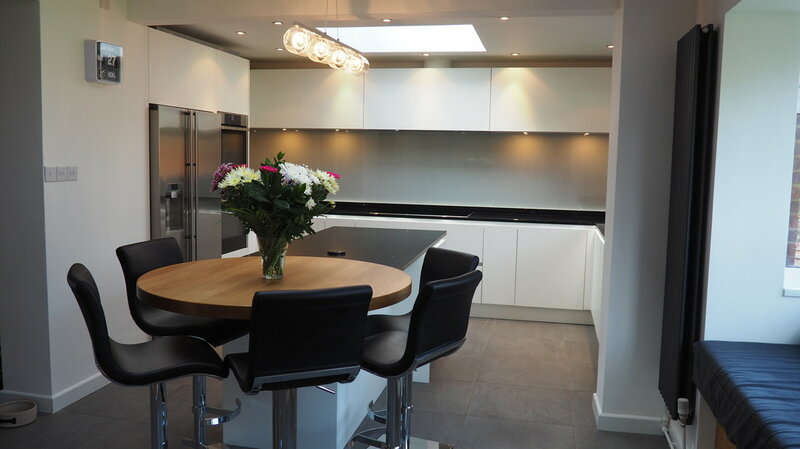 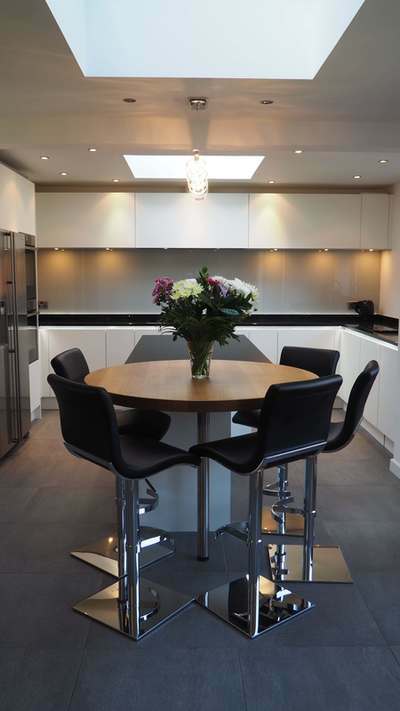 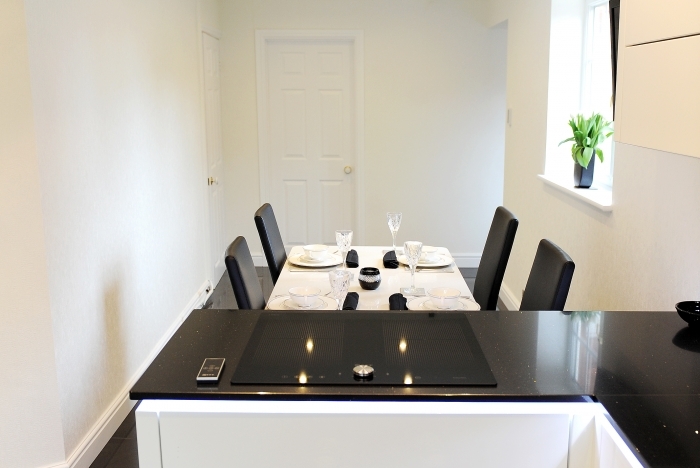 Matte white handleless kitchen with black quartz worktop with feature oak breakfast bar. 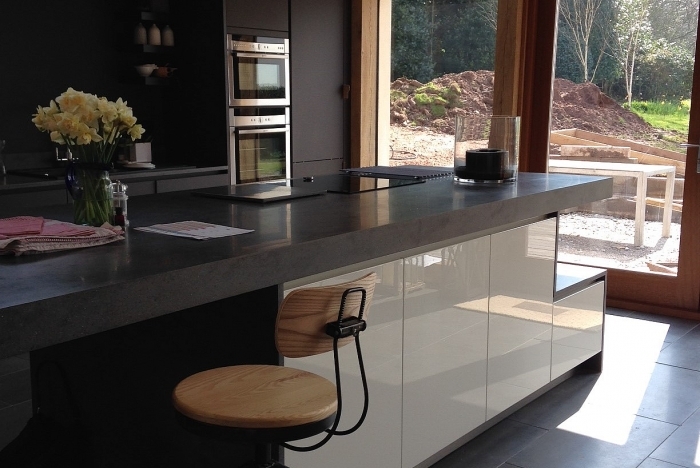 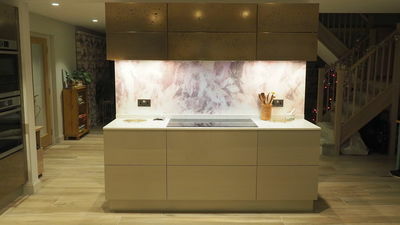 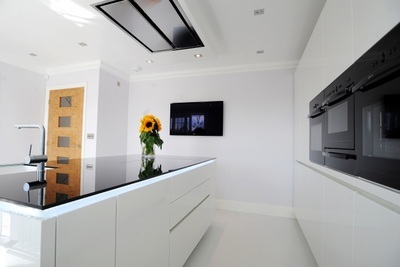 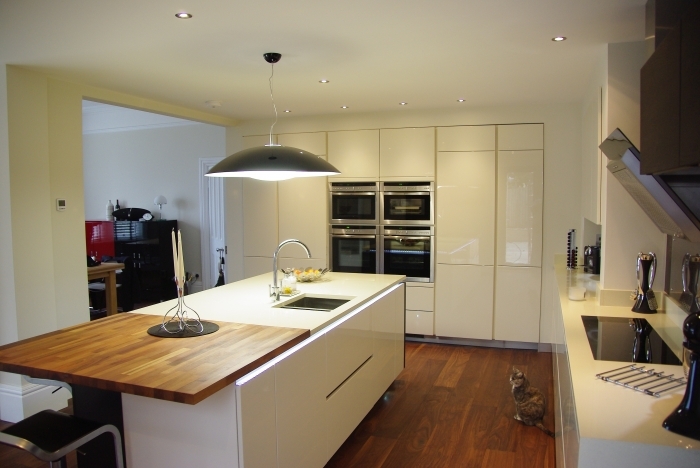 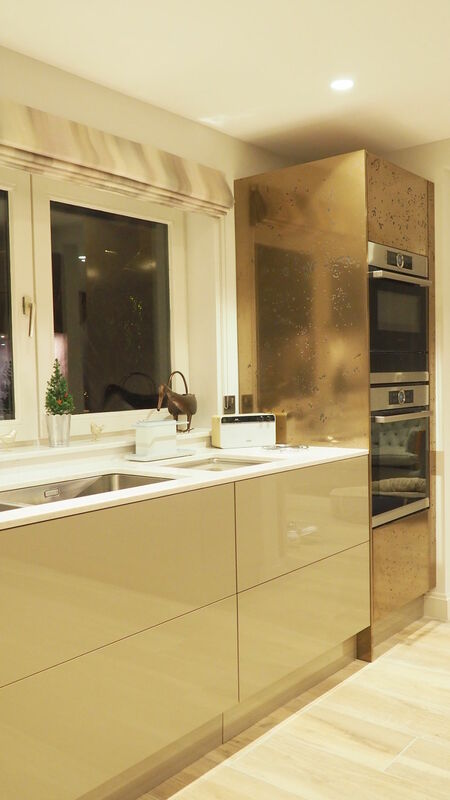 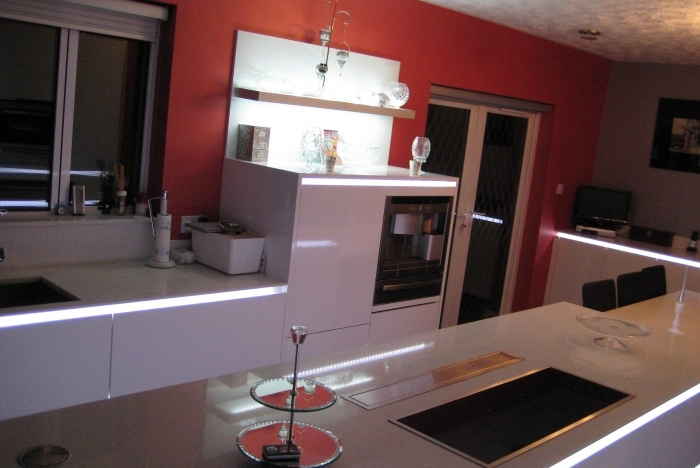 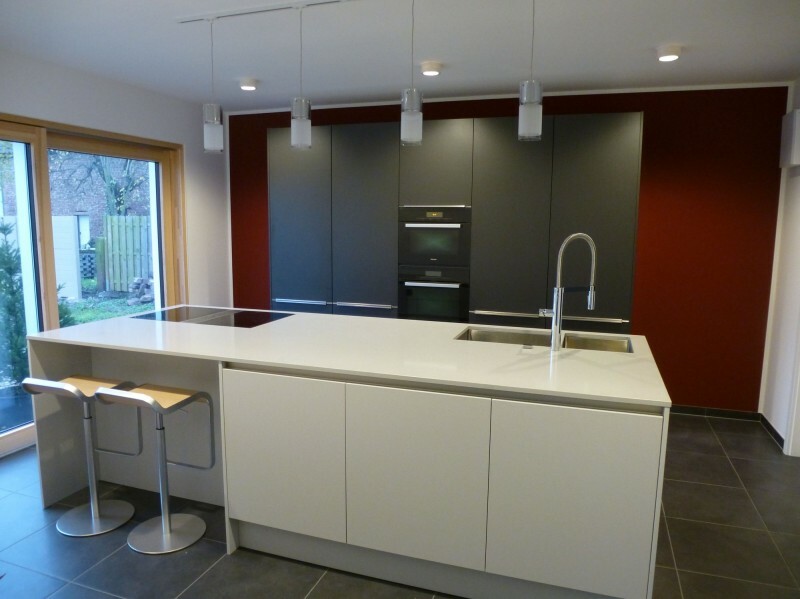 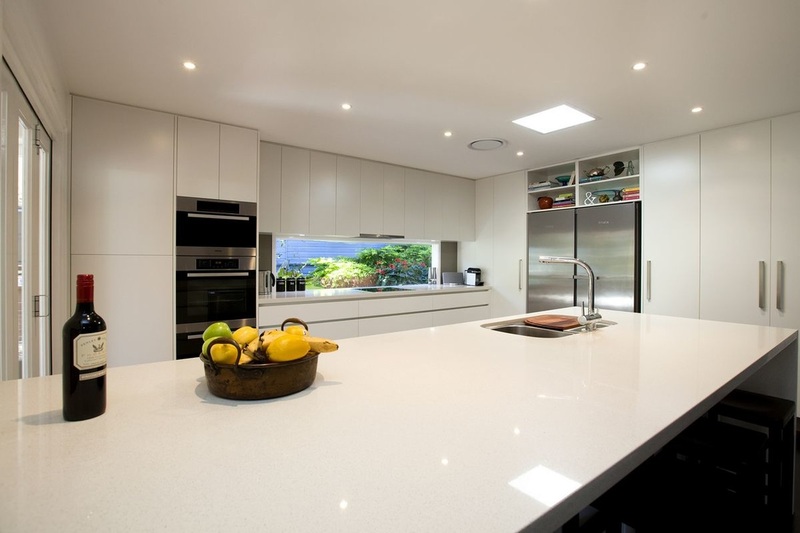 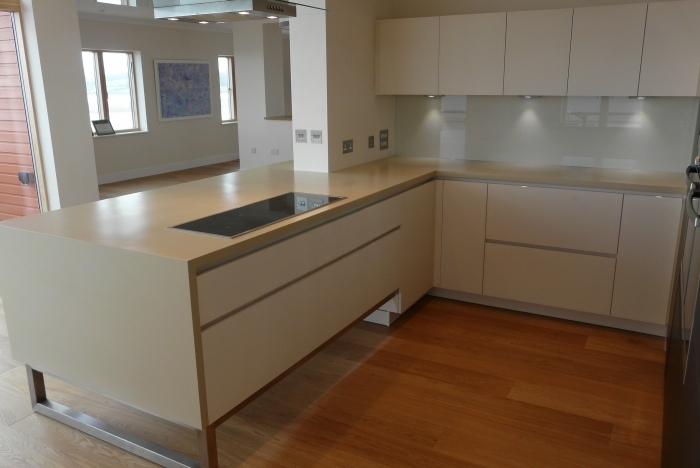 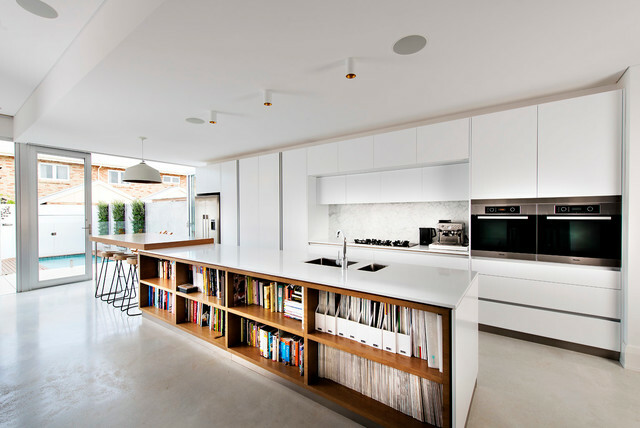 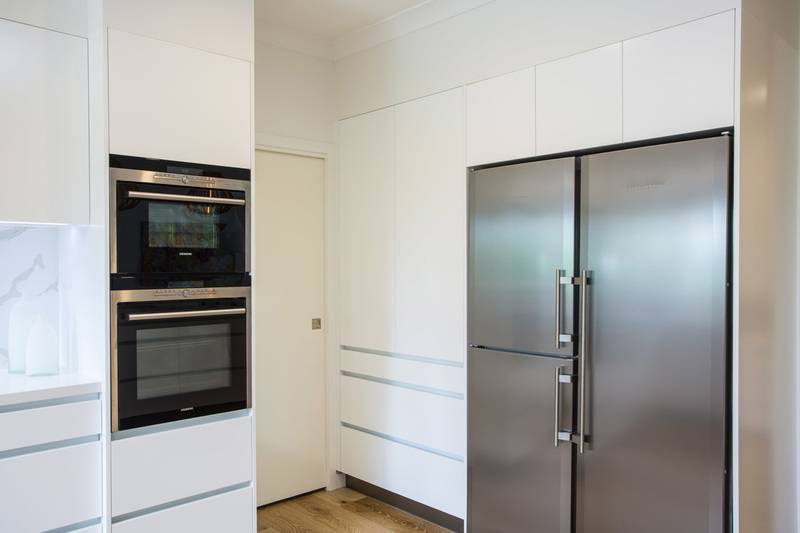 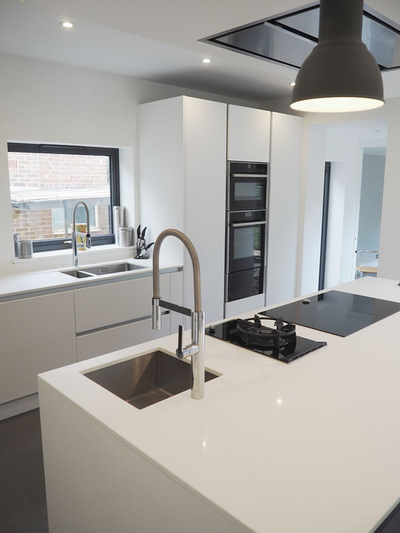 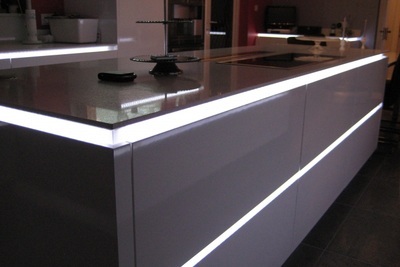 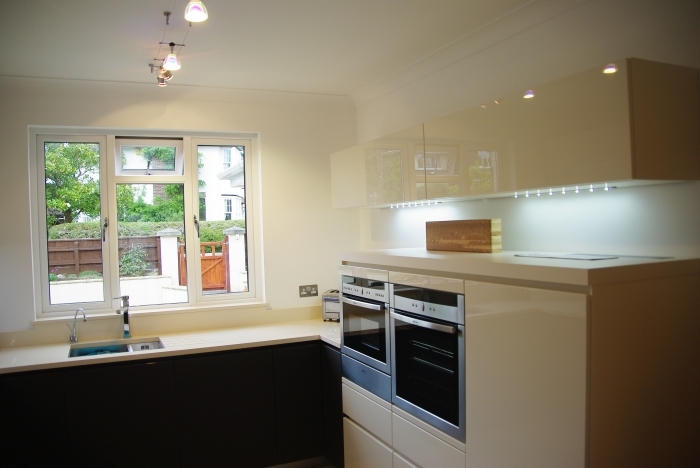 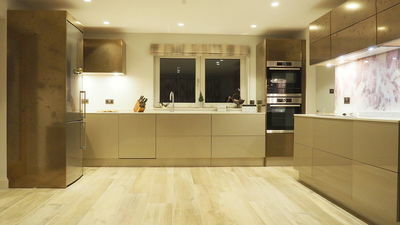 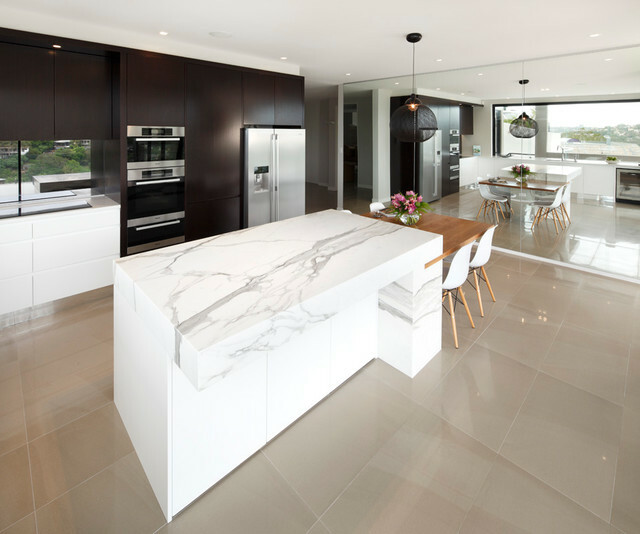 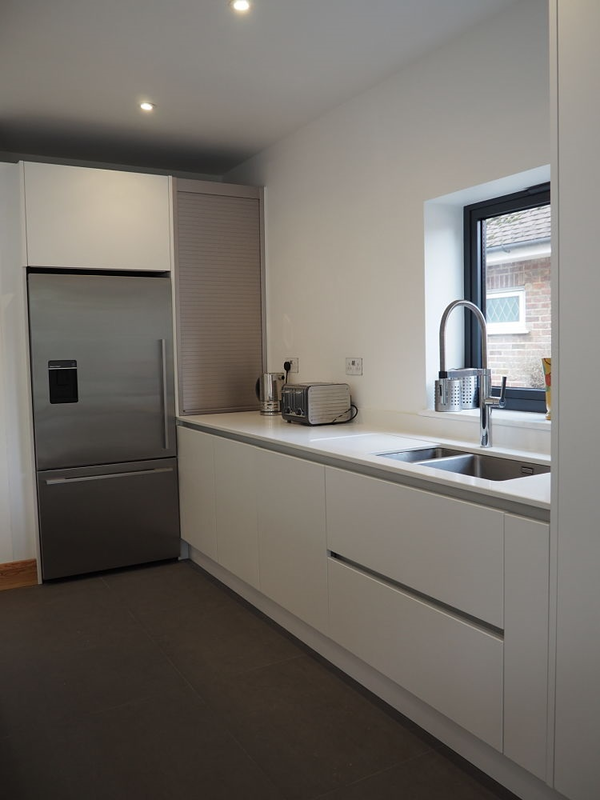 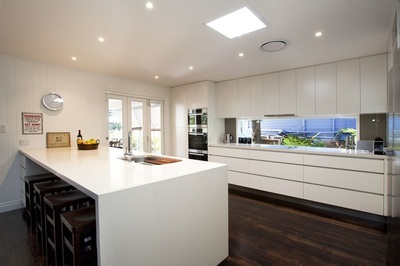 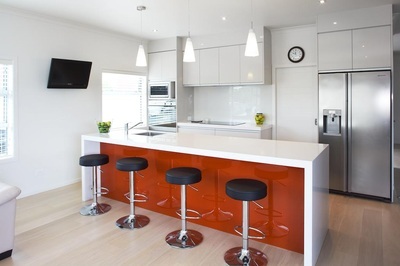 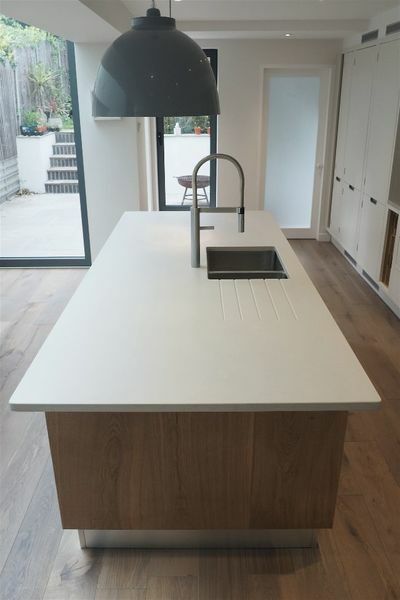 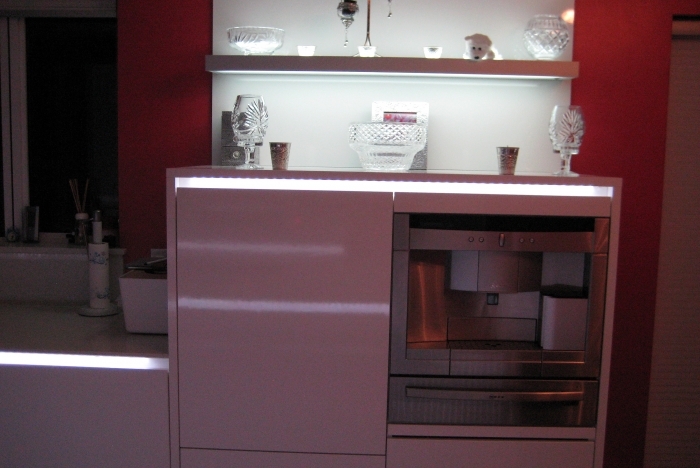 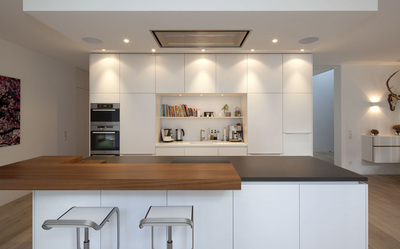 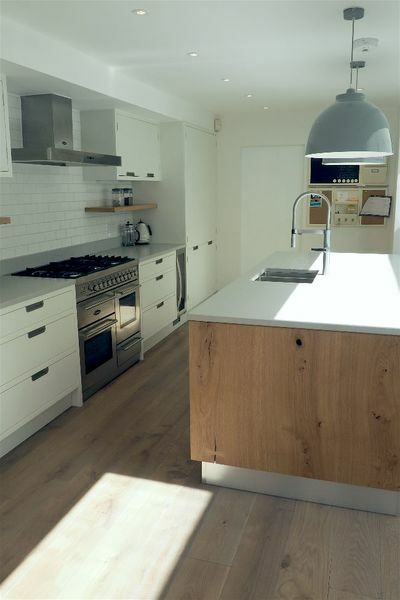 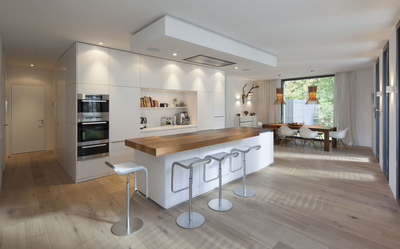 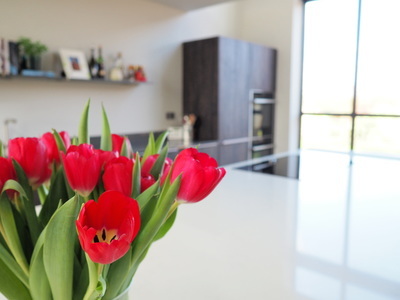 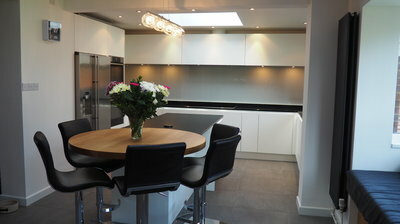 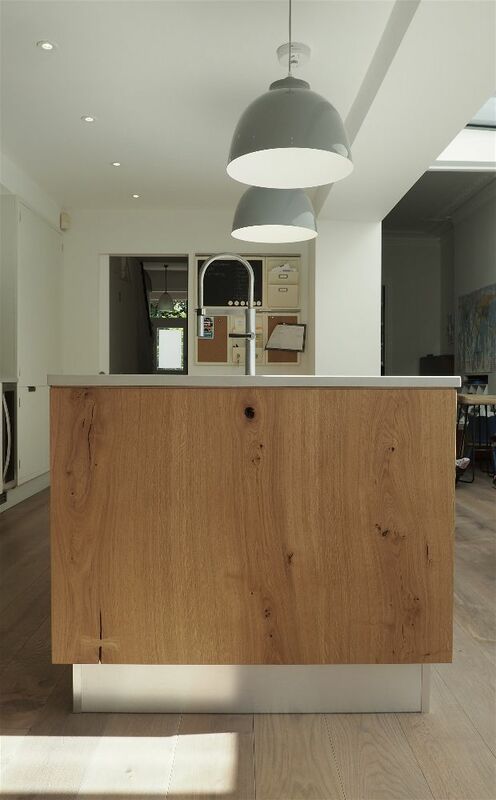 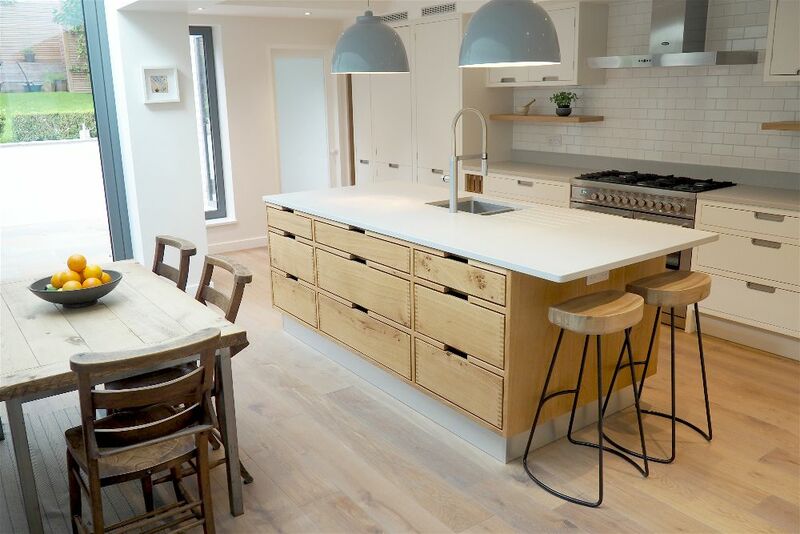 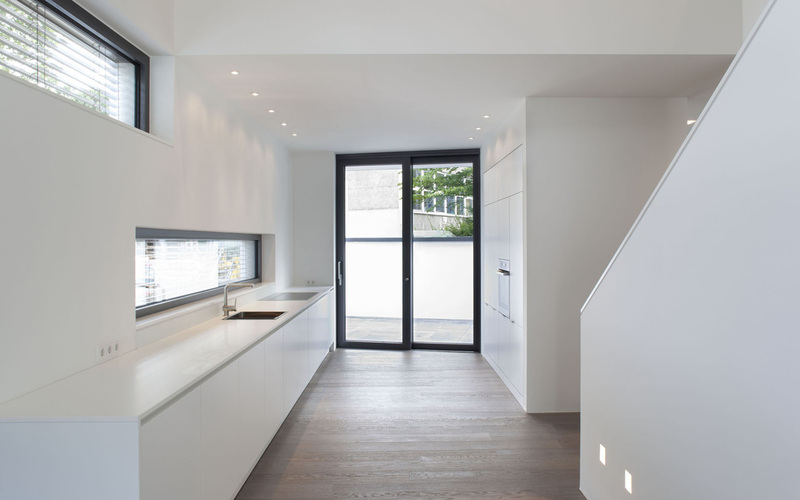 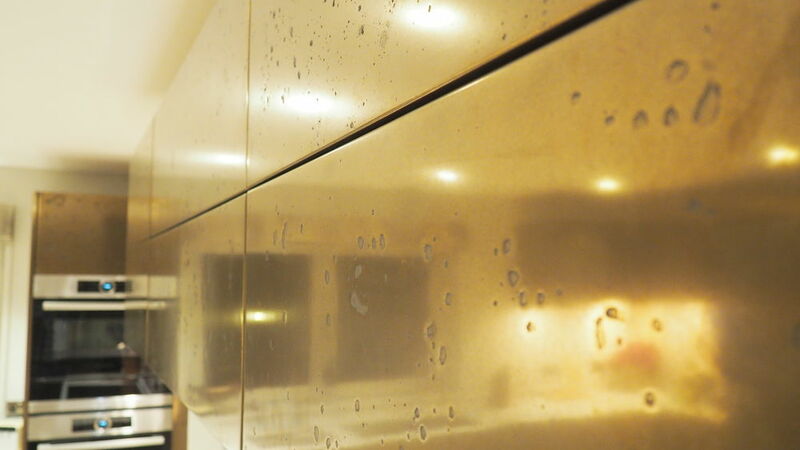 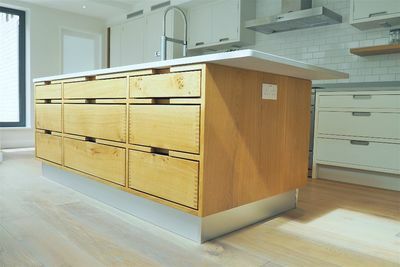 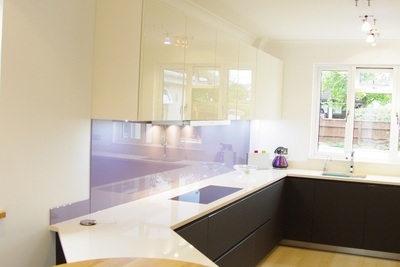 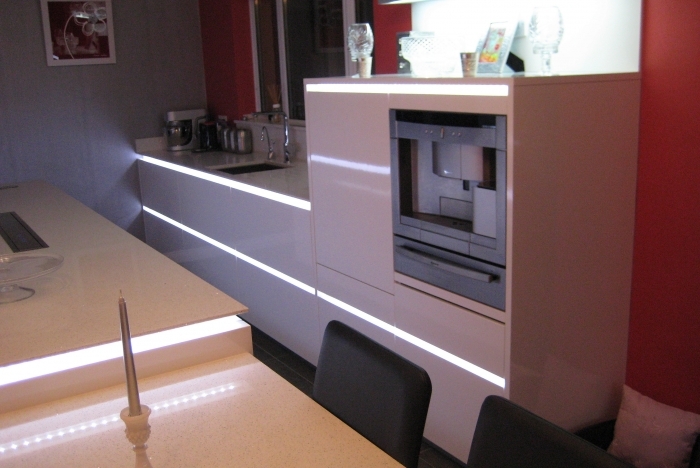 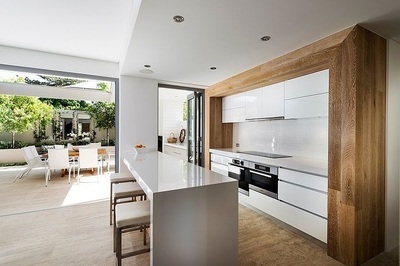 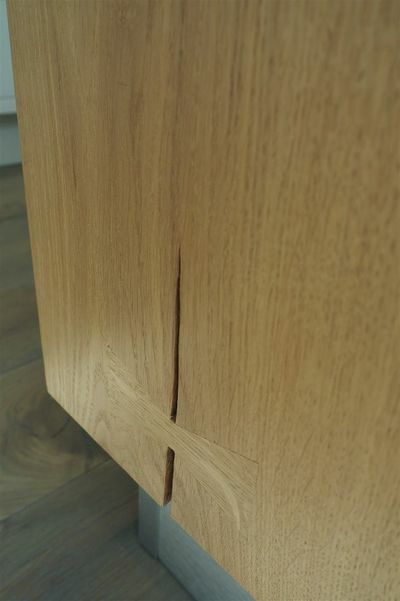 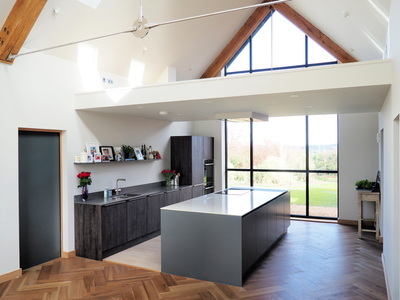 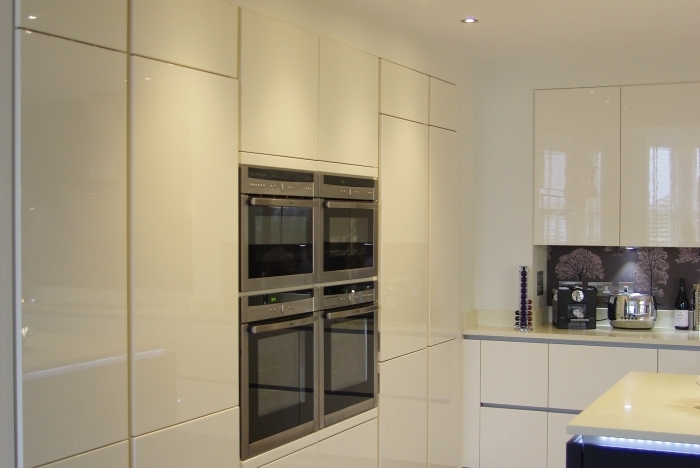 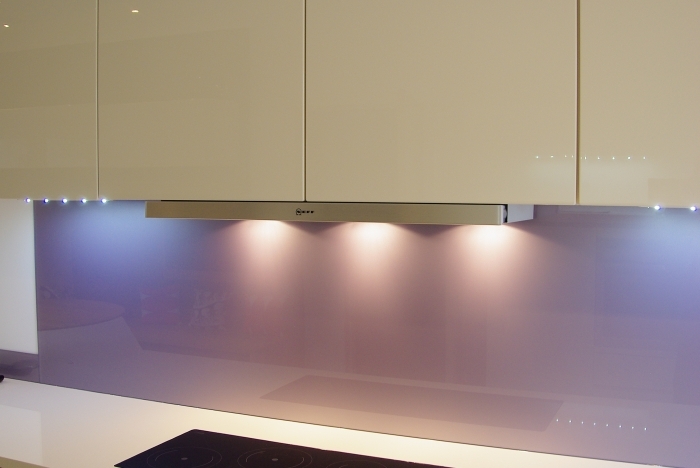 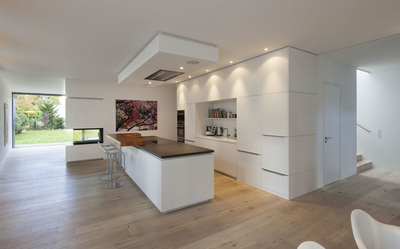 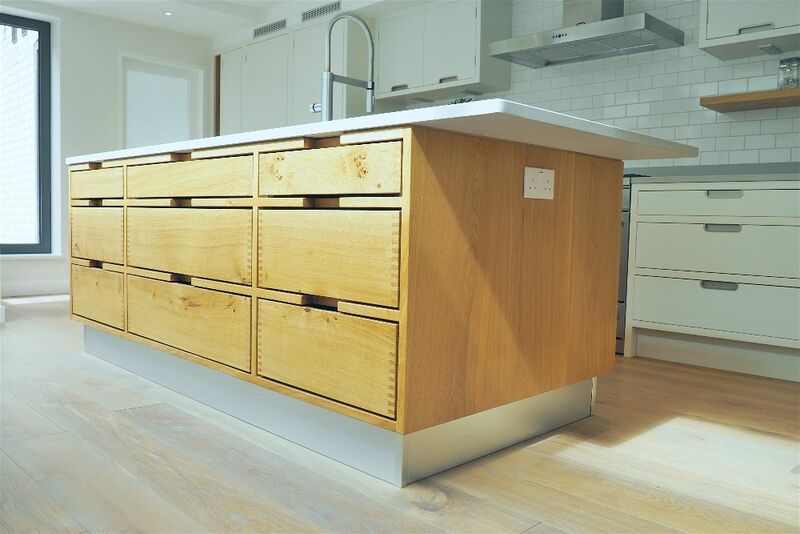 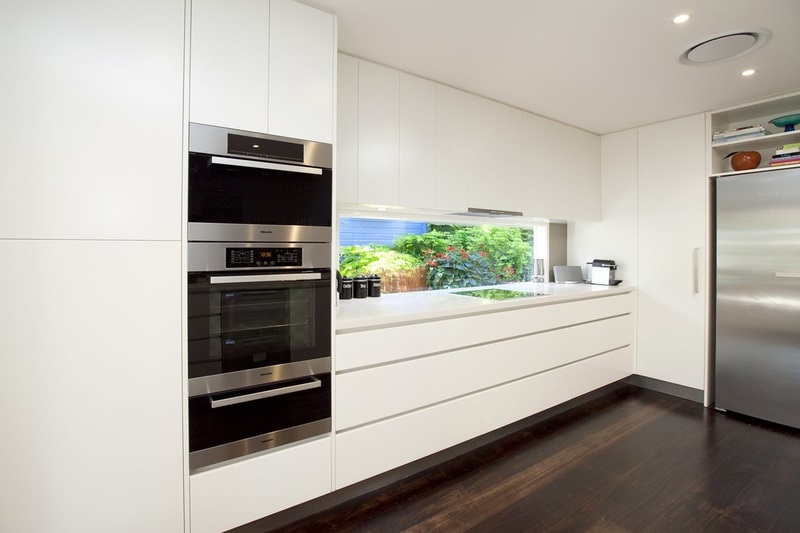 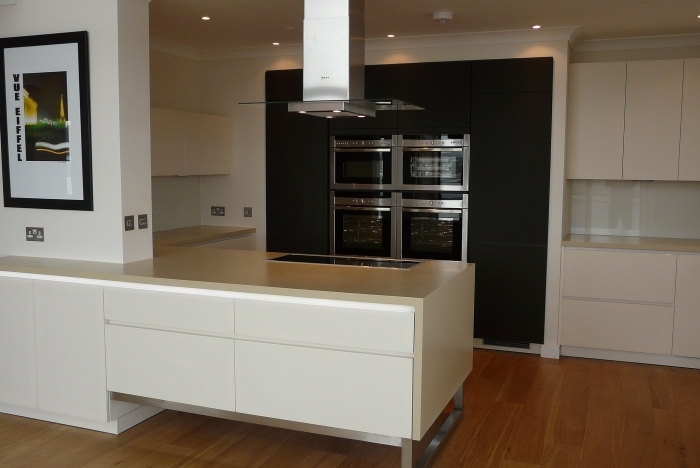 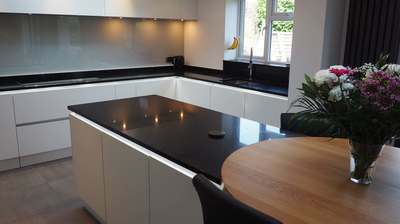 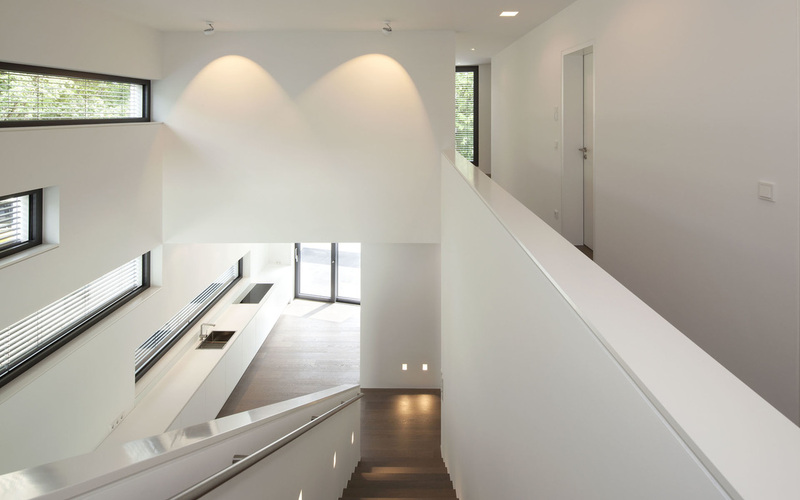 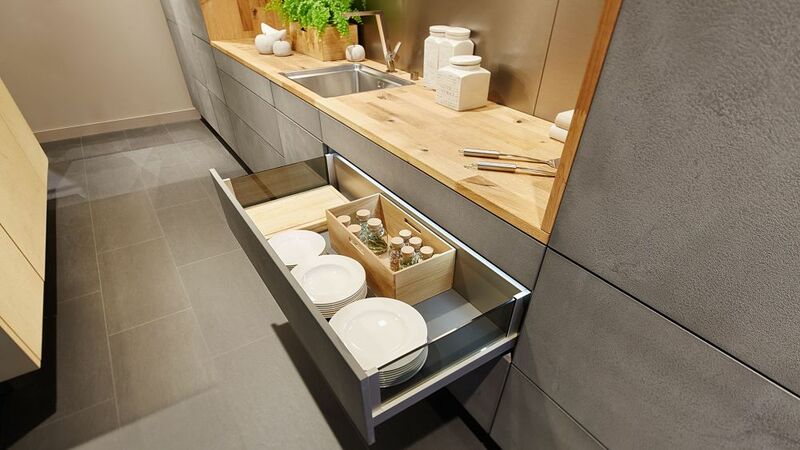 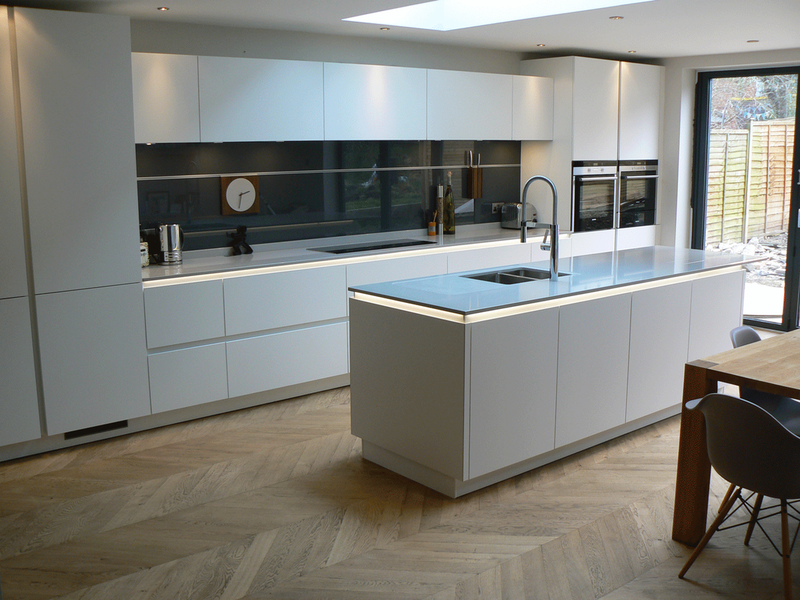 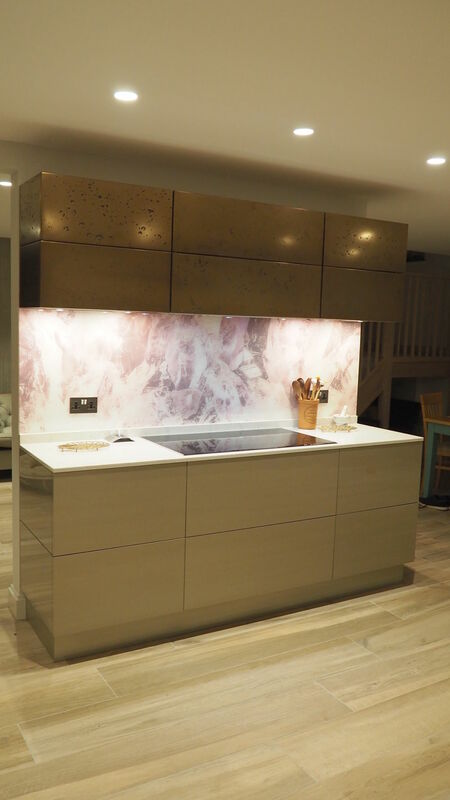 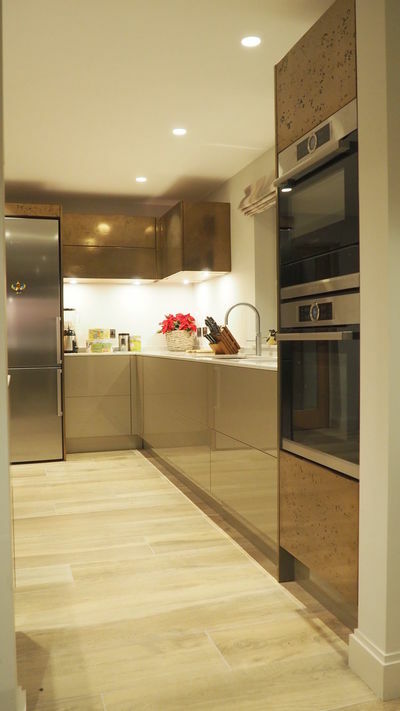 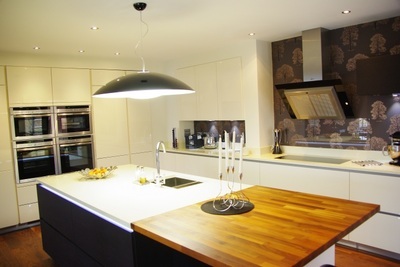 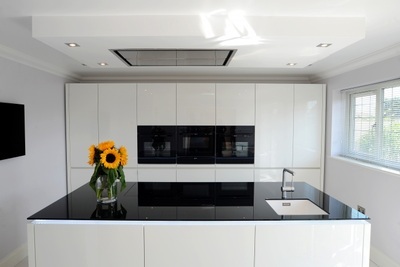 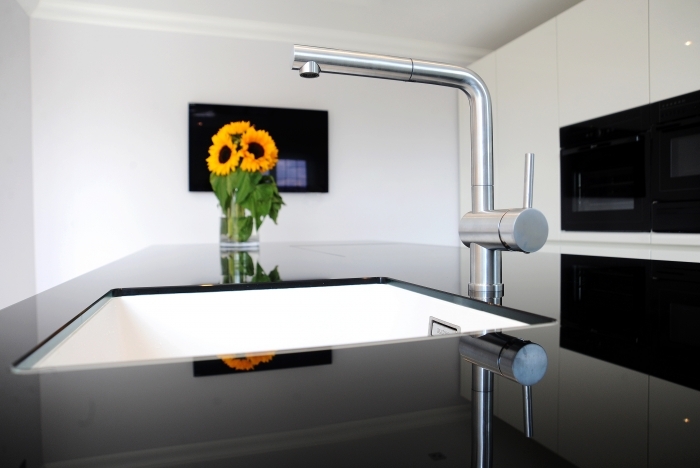 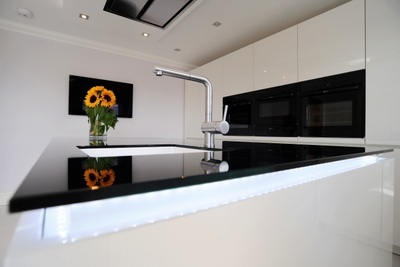 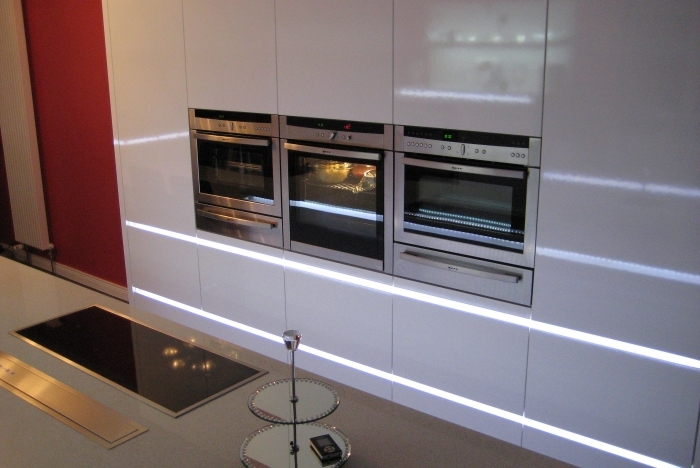 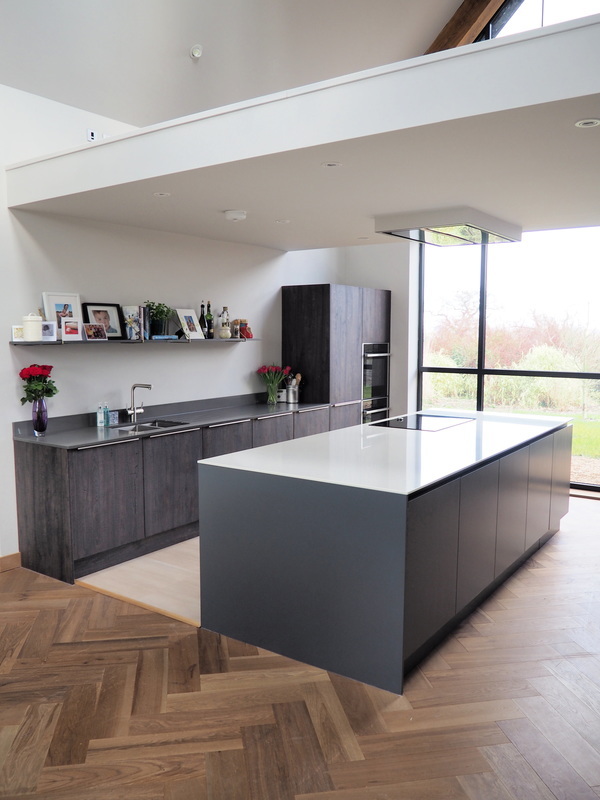 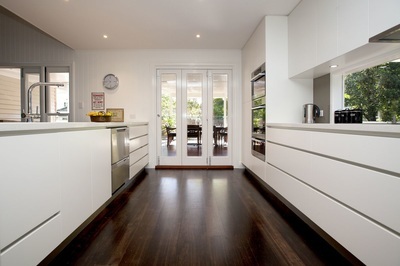 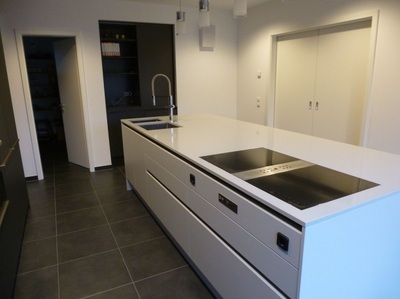 Bespoke finger-jointed island with contemporary in frame linear white kitchen. 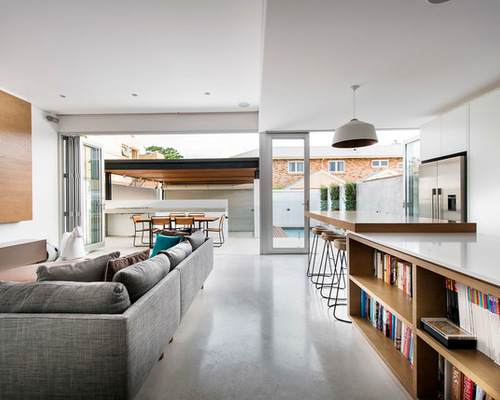 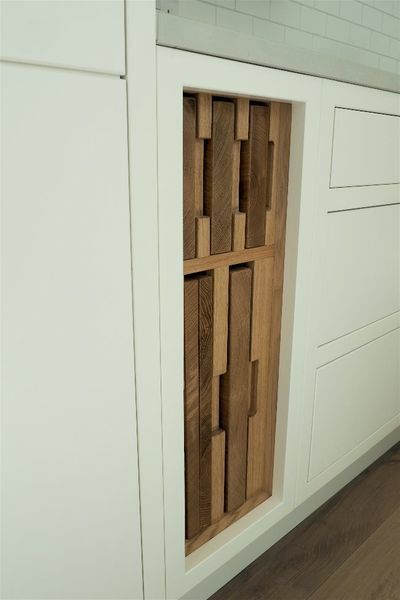 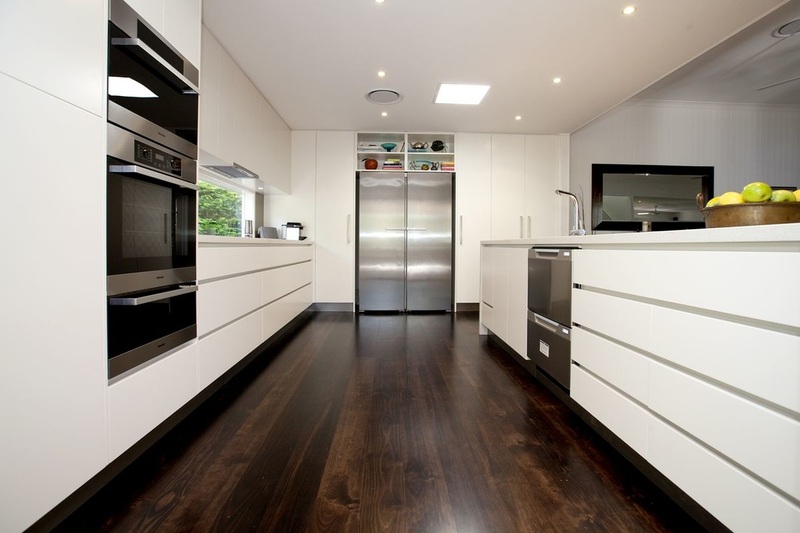 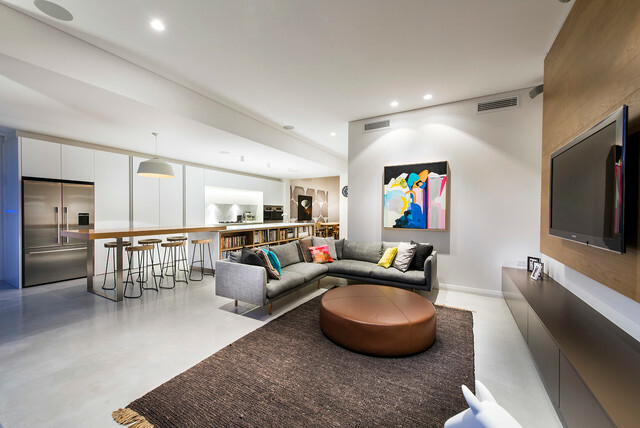 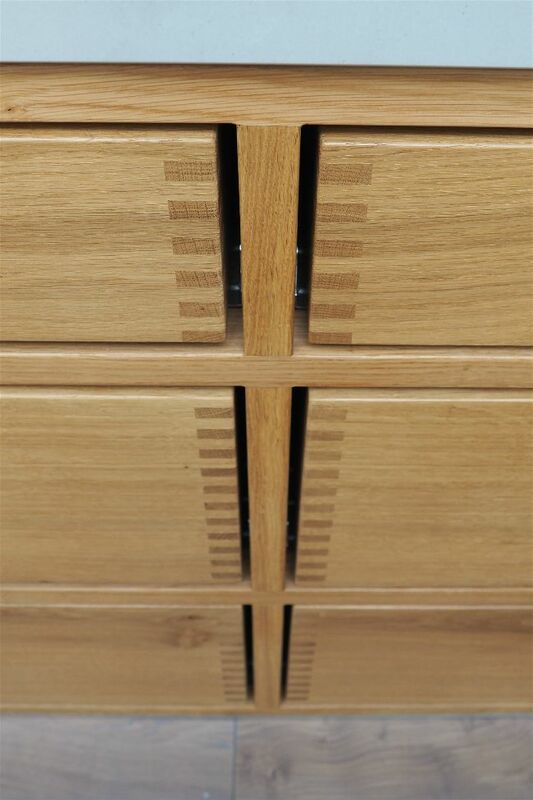 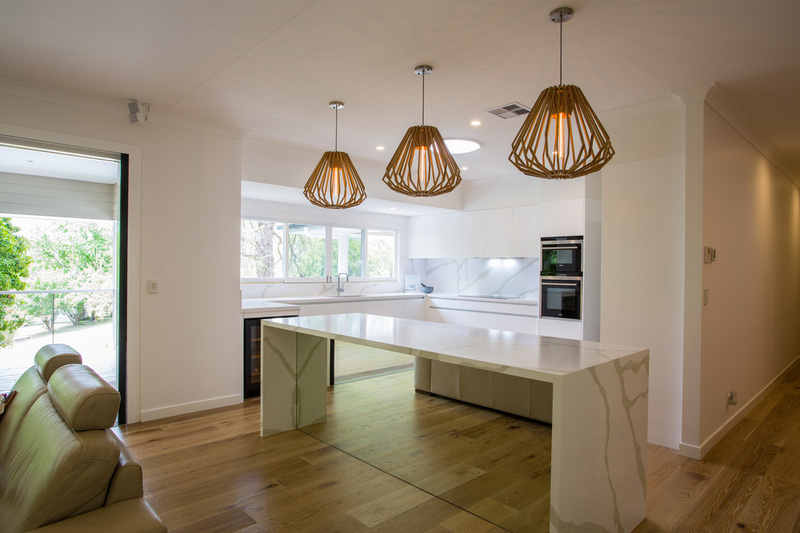 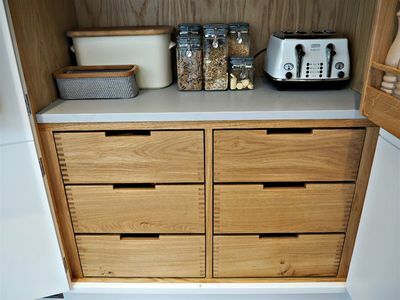 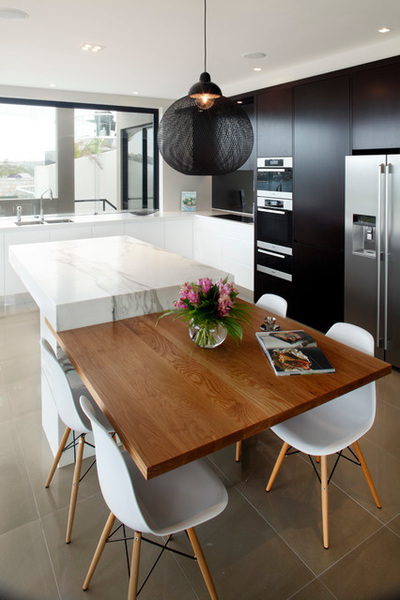 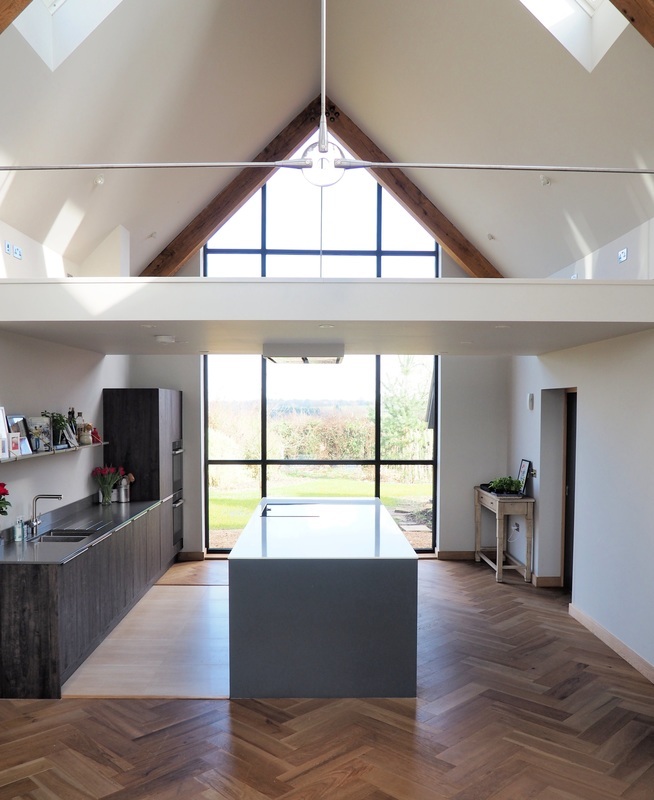 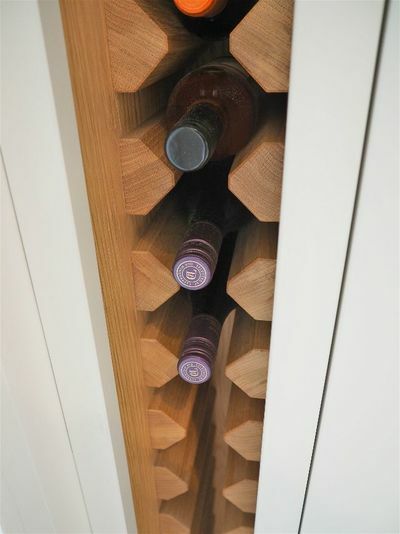 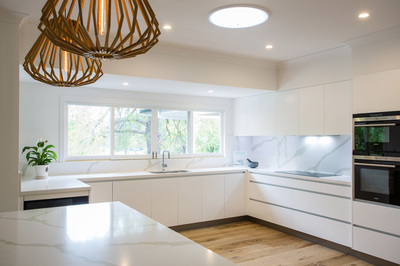 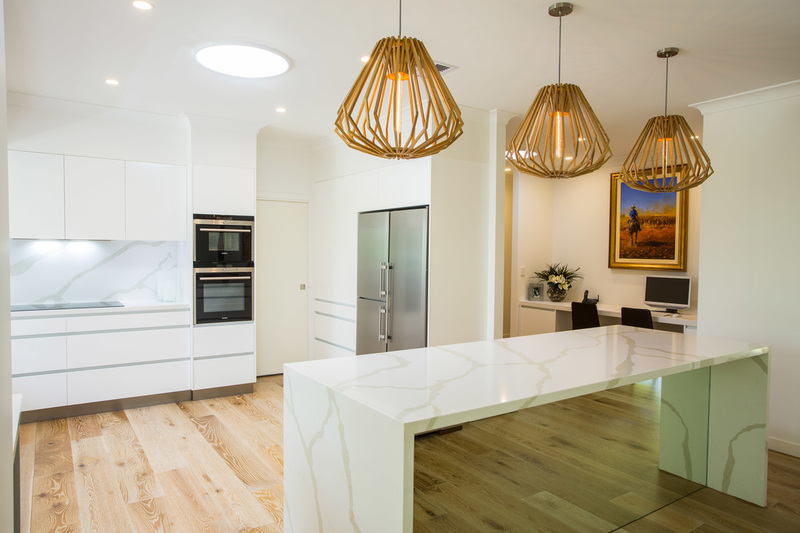 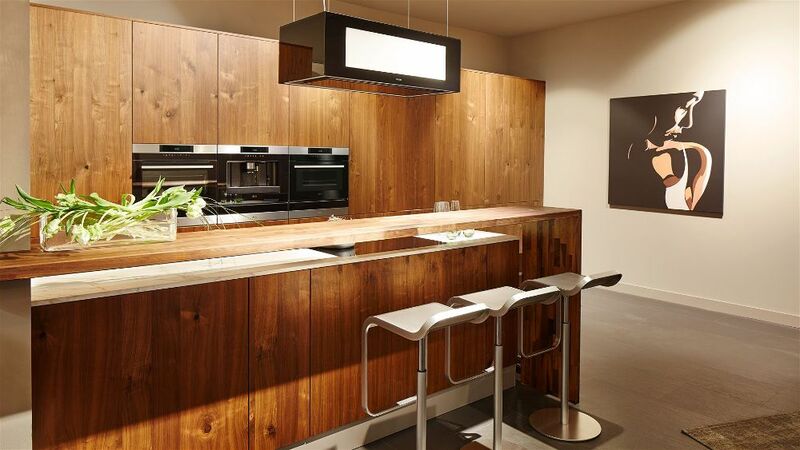 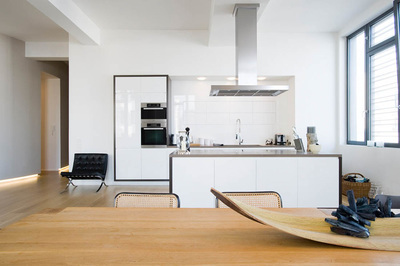 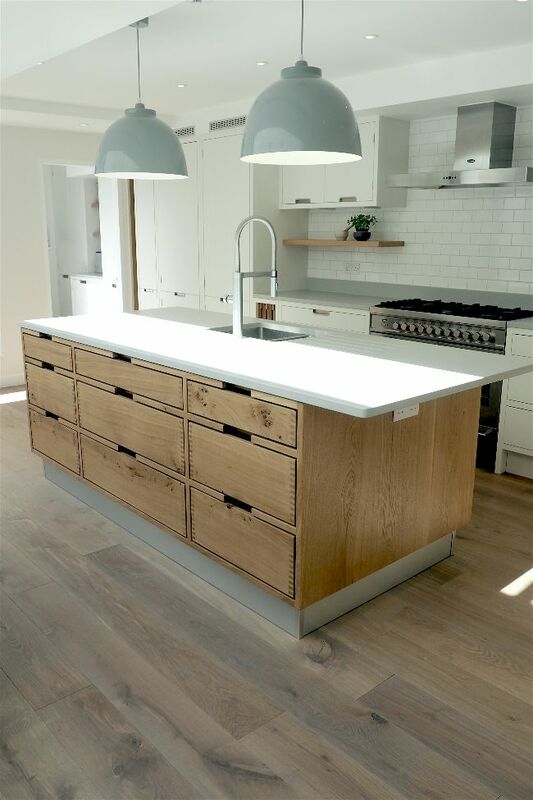 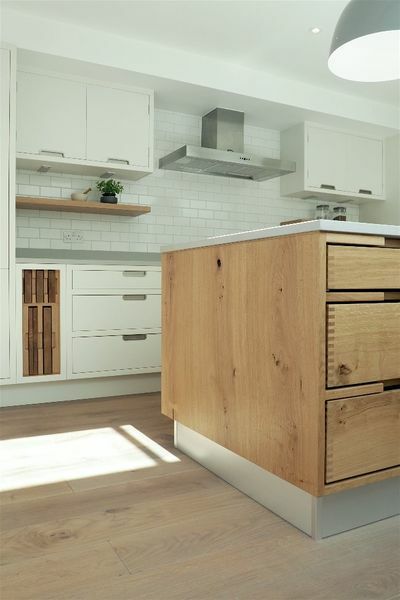 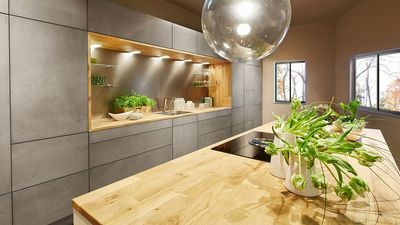 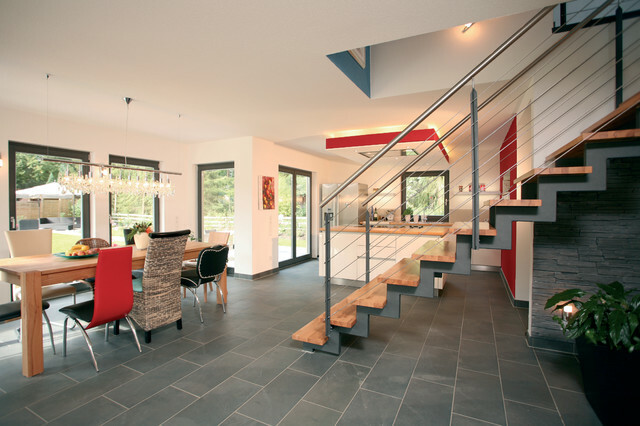 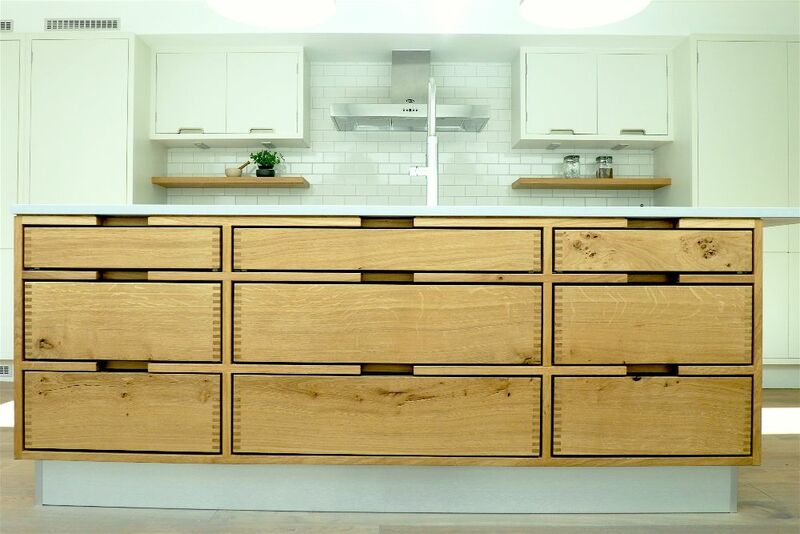 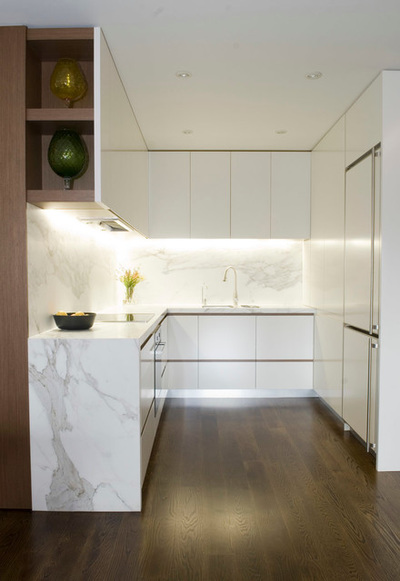 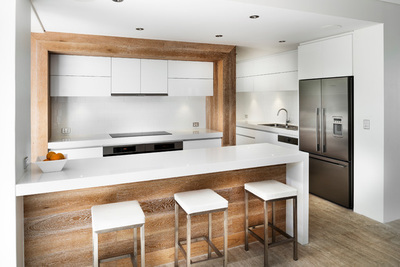 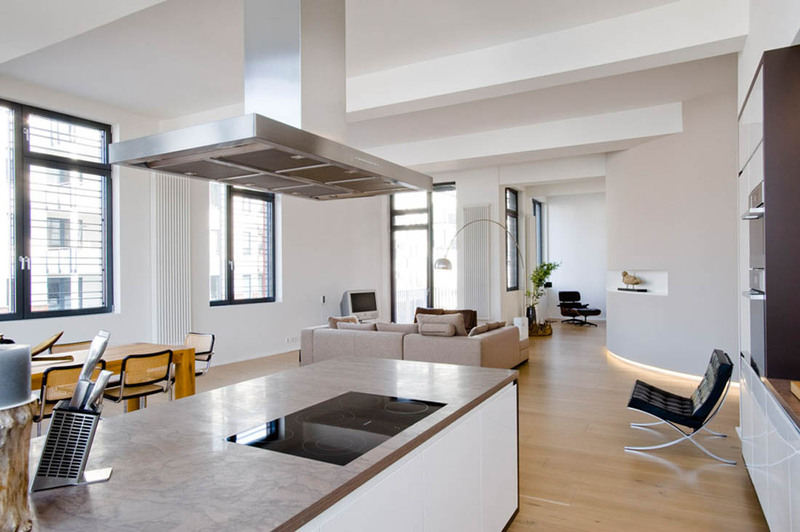 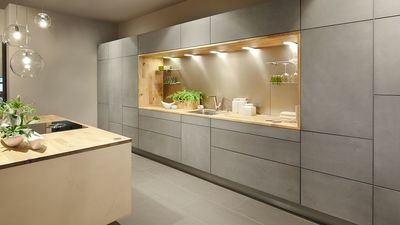 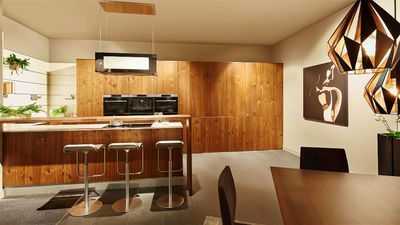 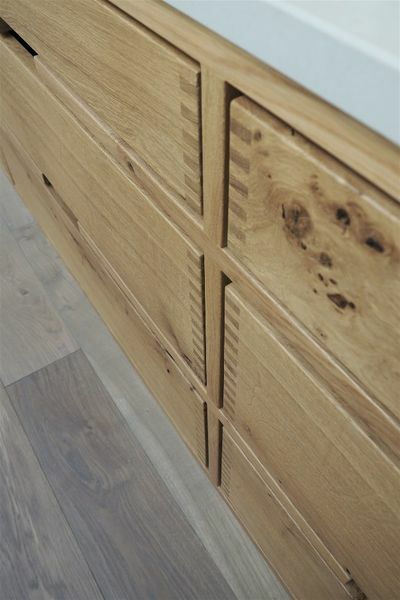 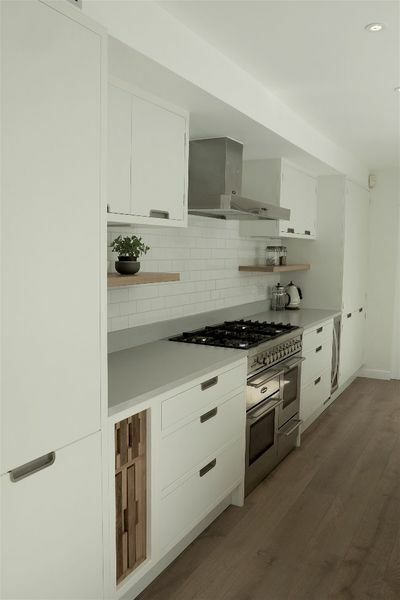 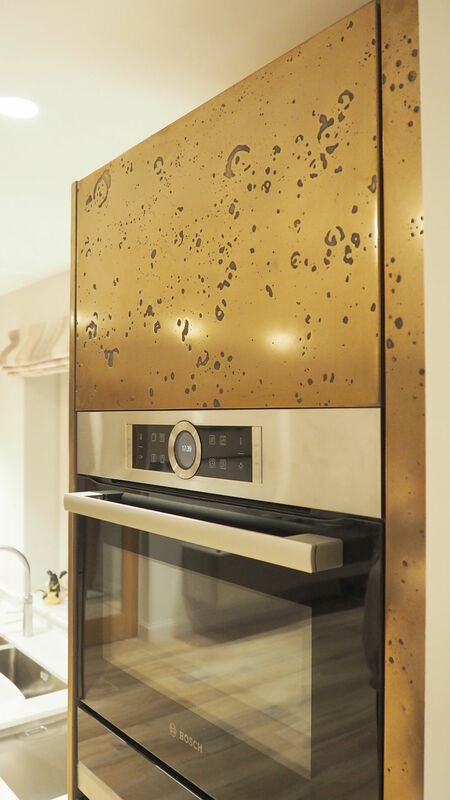 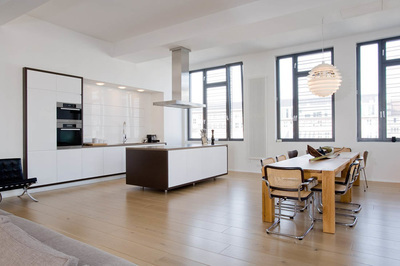 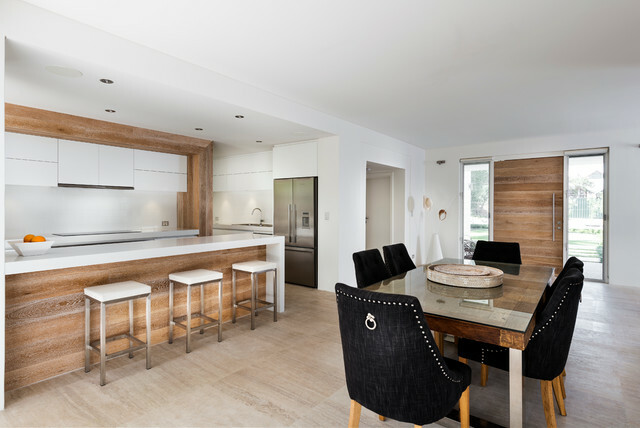 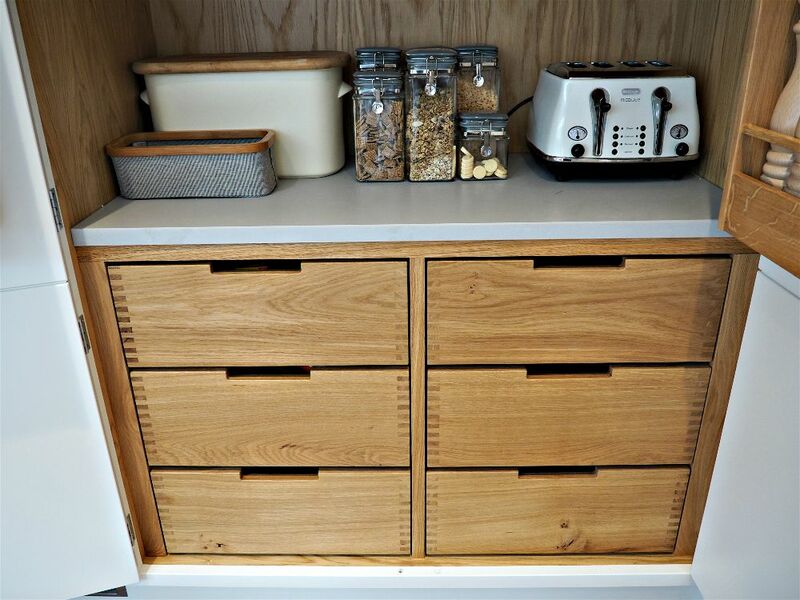 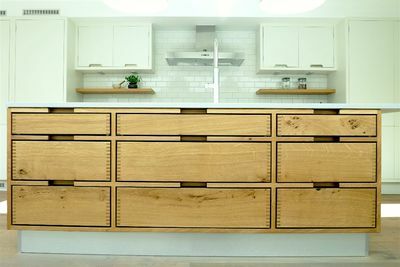 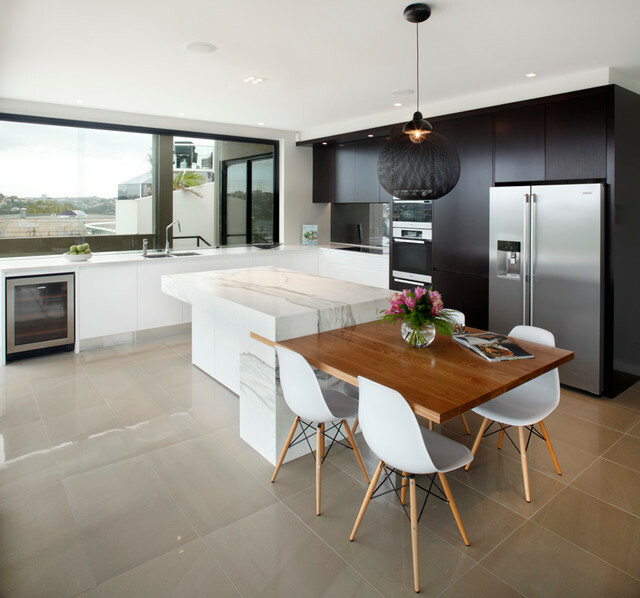 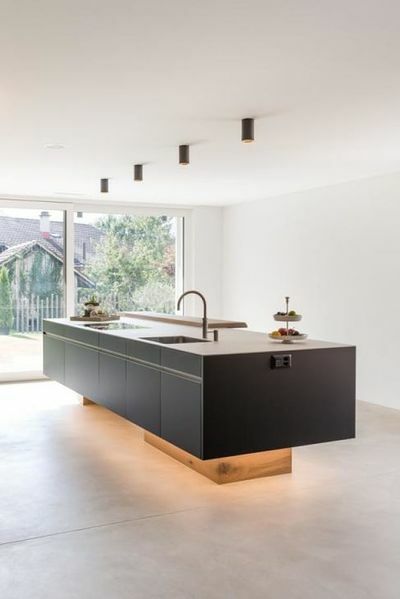 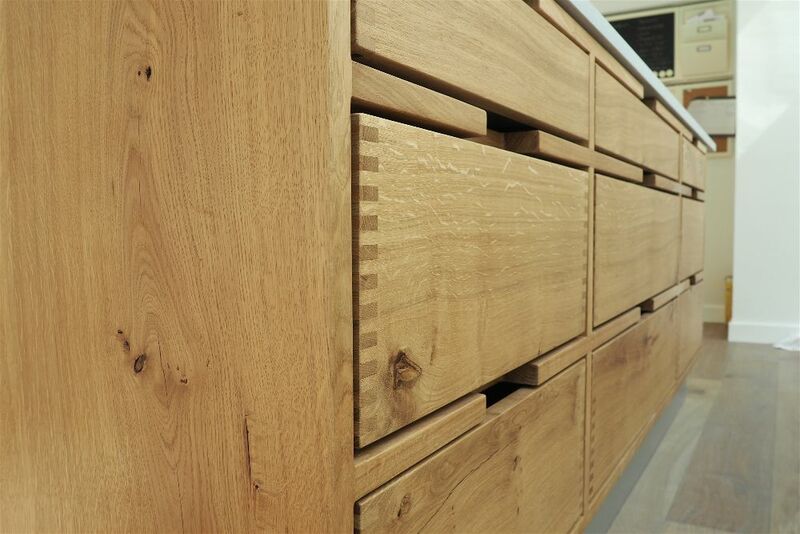 This gorgeous kitchen beautifully bridges the gap between traditional cabinetry making and contemporary styling. 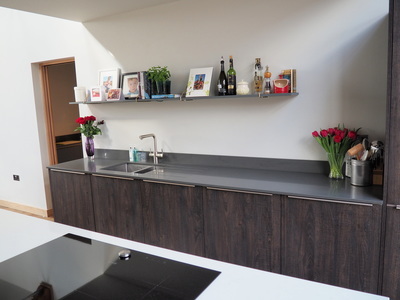 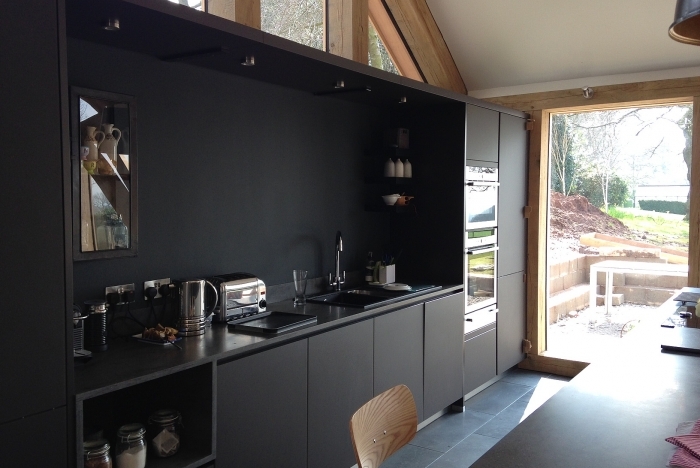 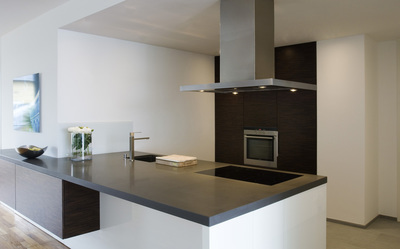 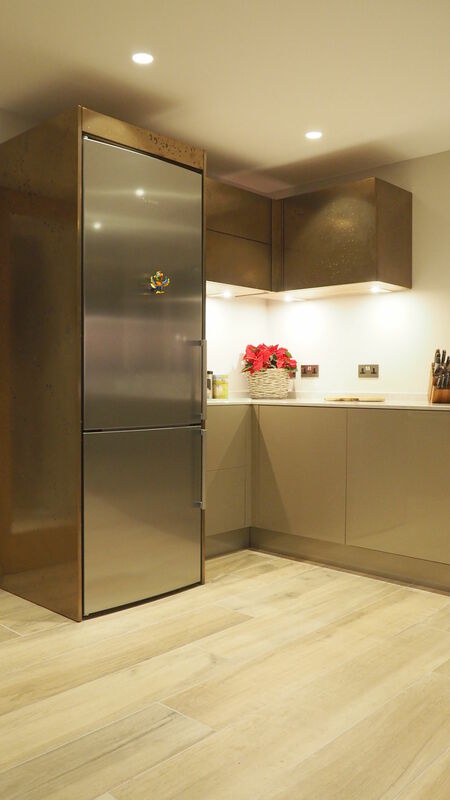 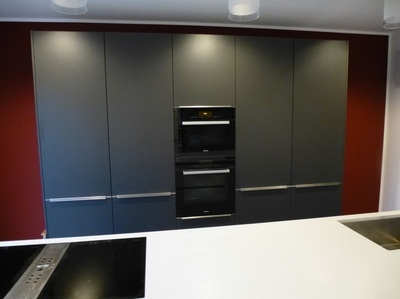 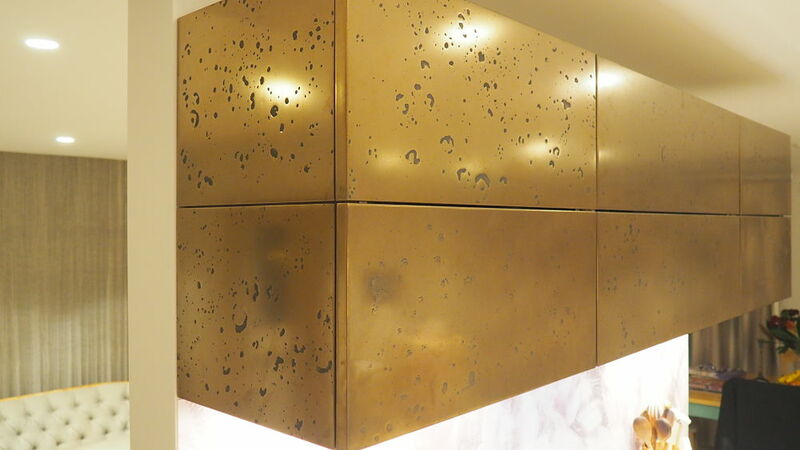 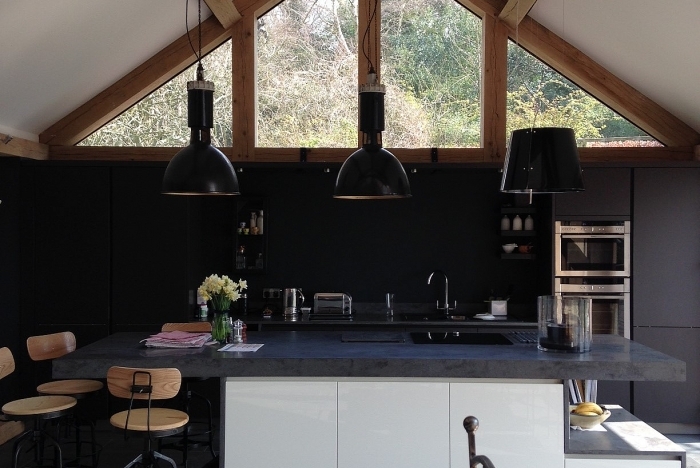 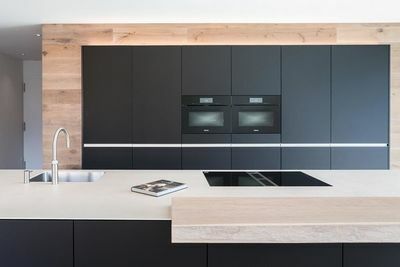 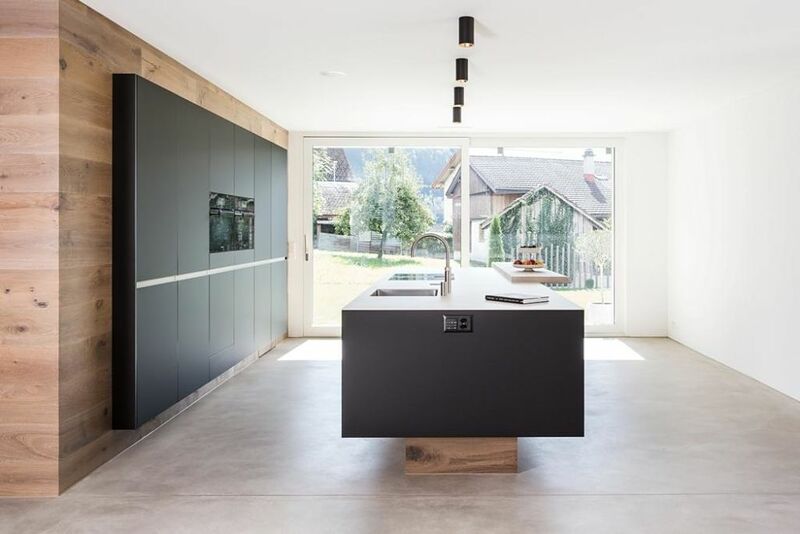 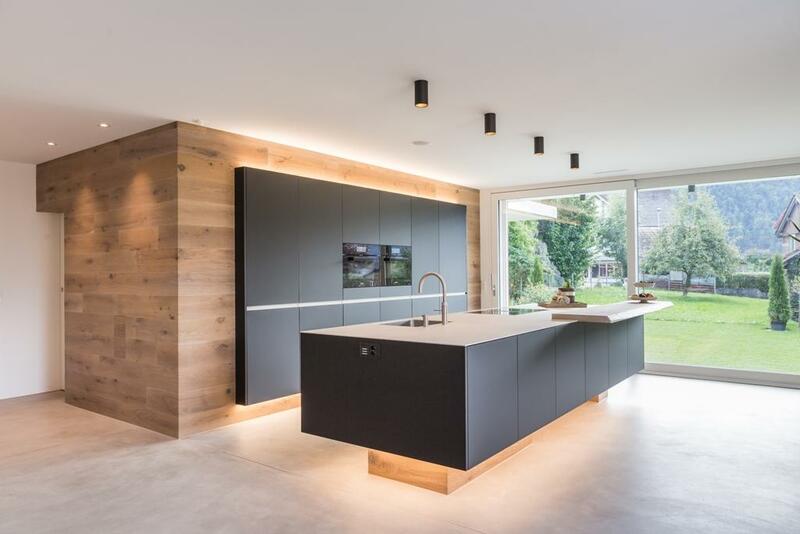 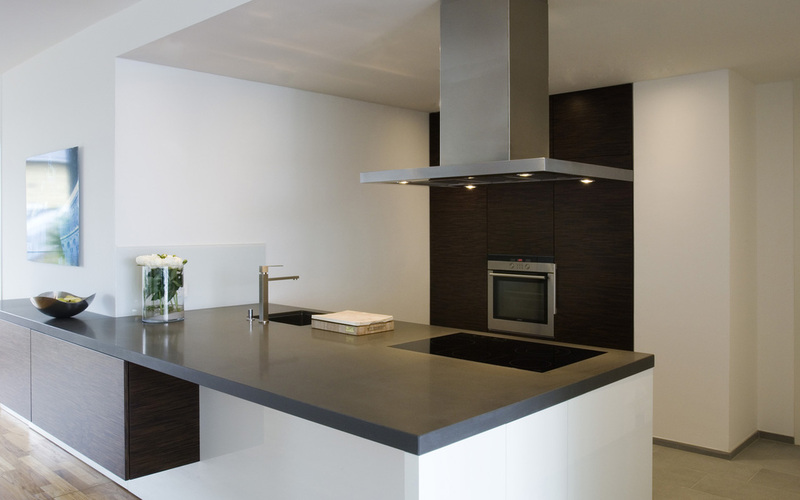 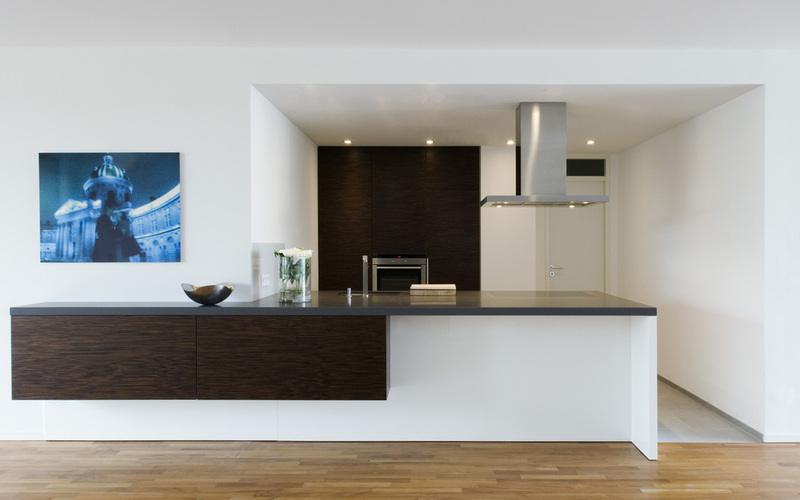 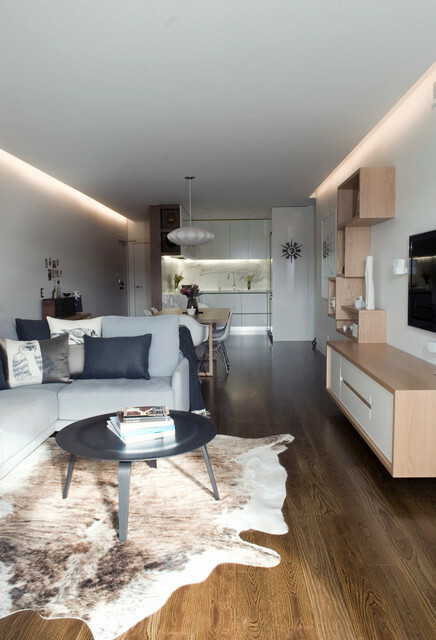 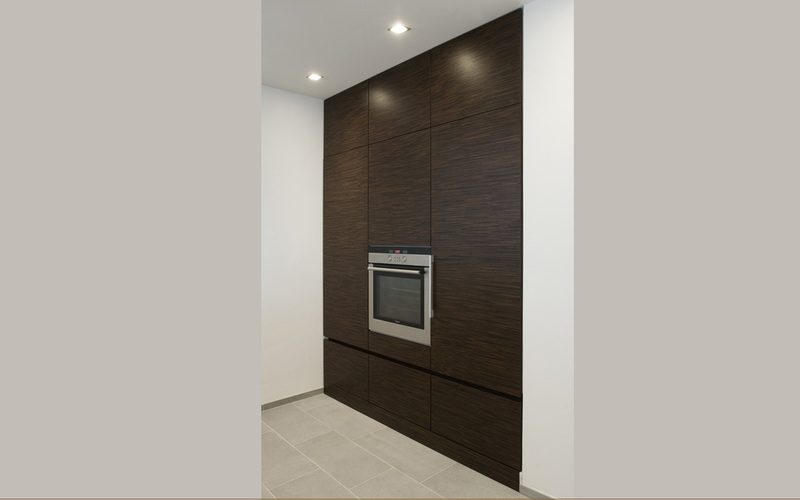 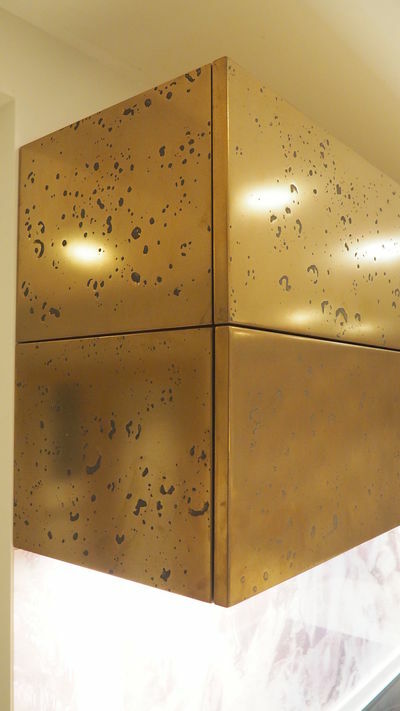 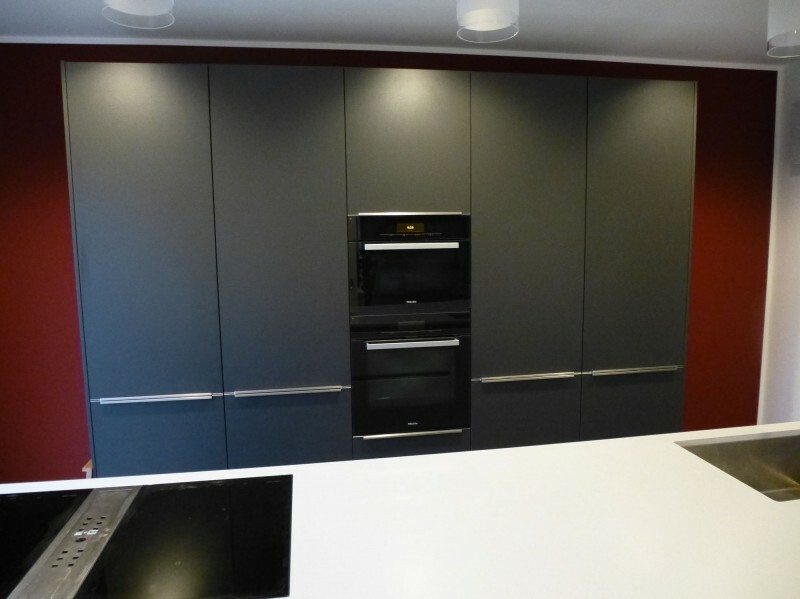 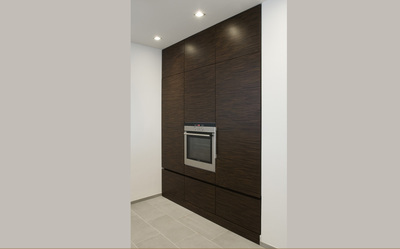 Matte black tall cabinets recessed into wall with heart-oak cladding and raised plinth. 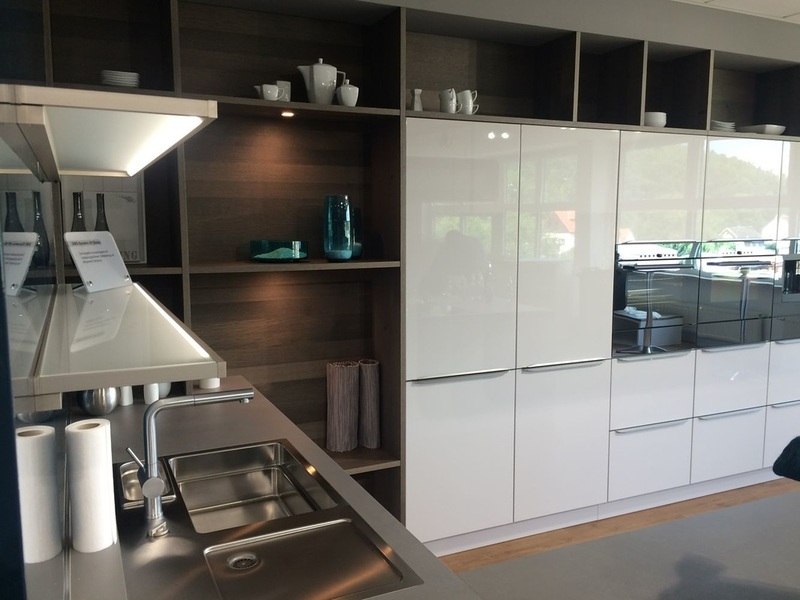 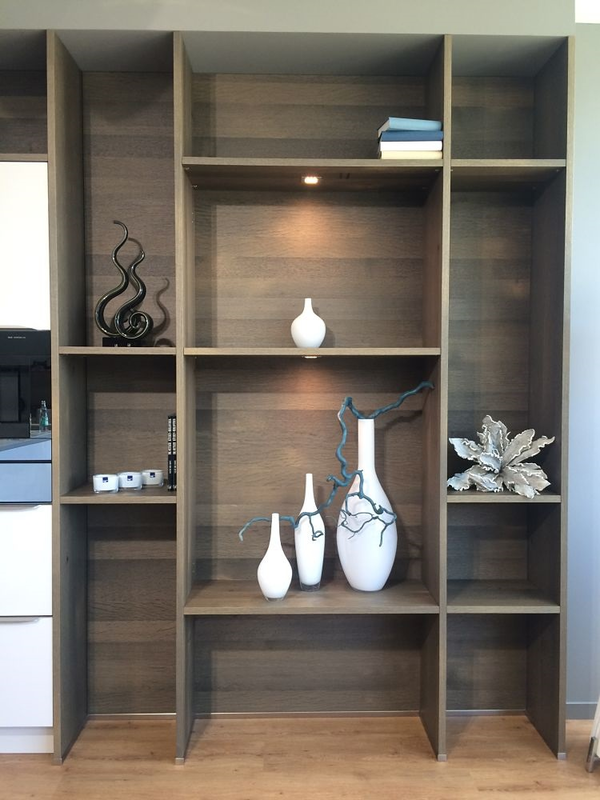 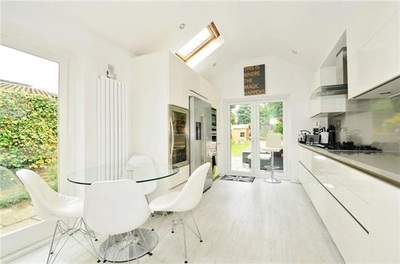 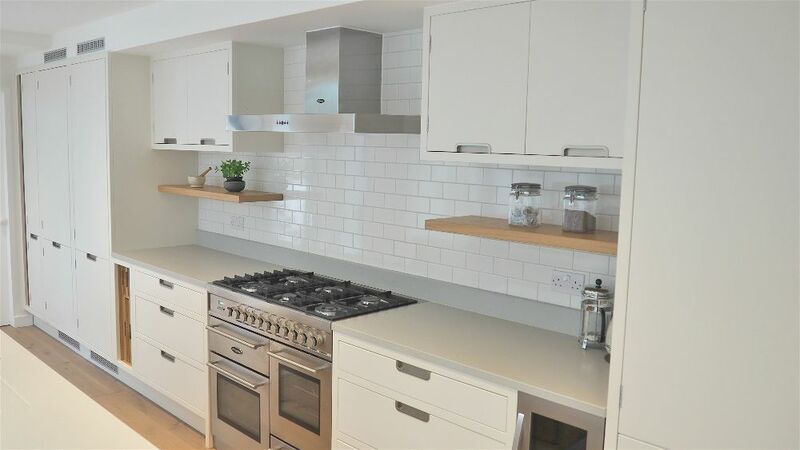 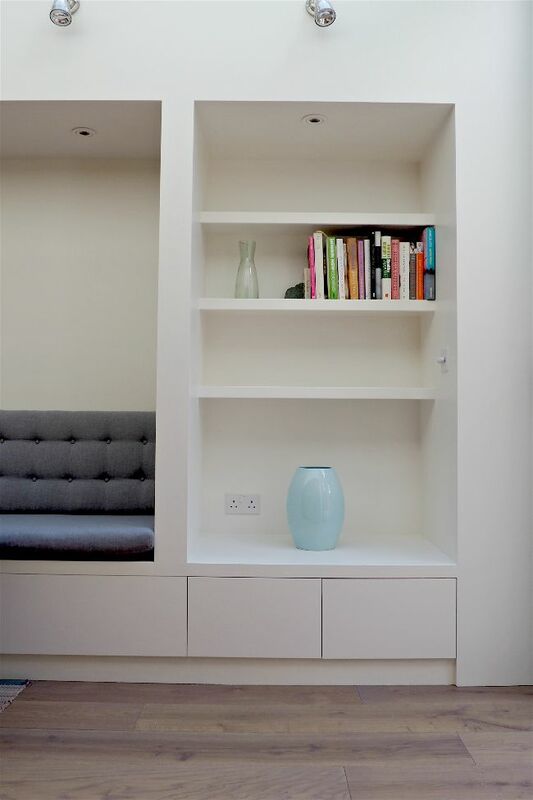 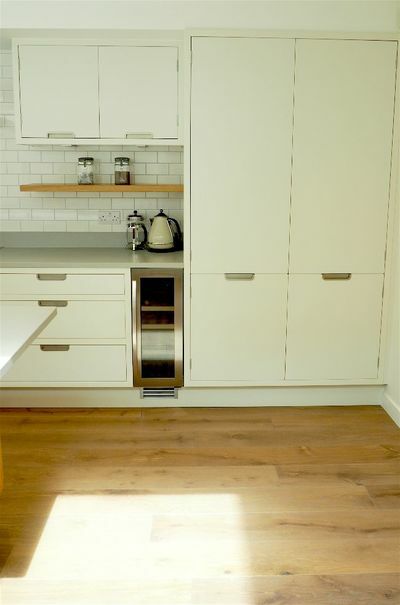 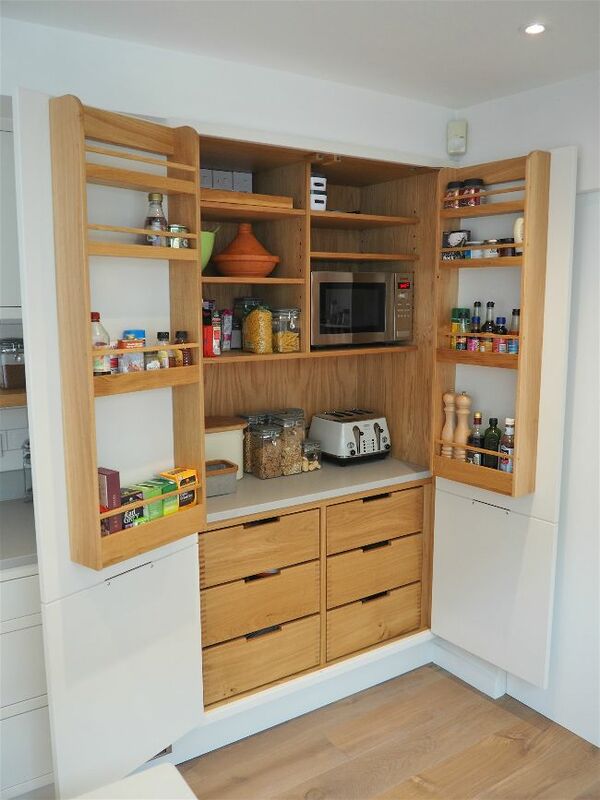 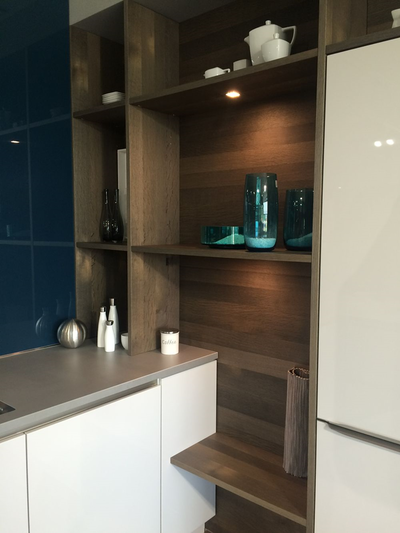 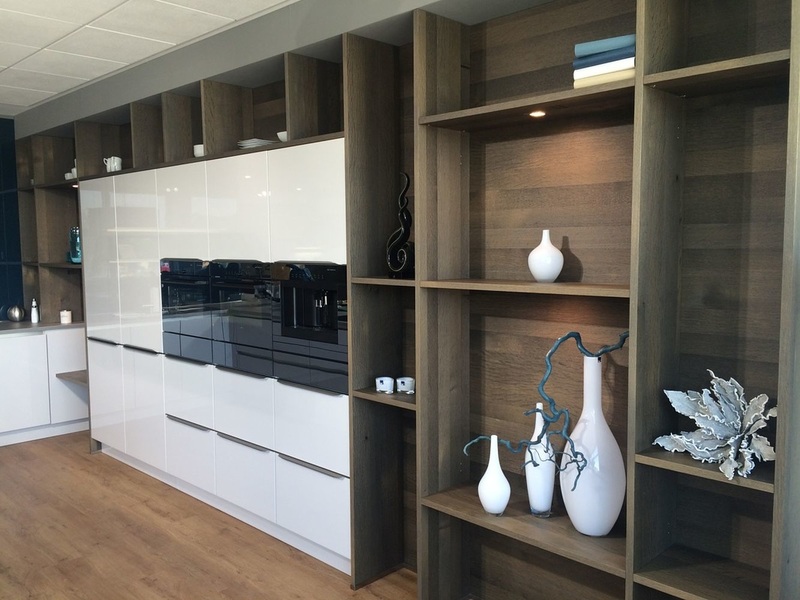 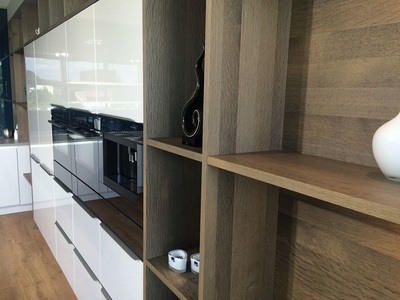 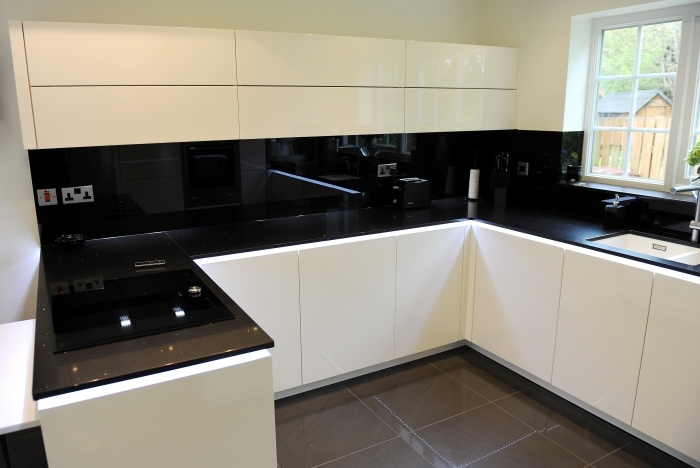 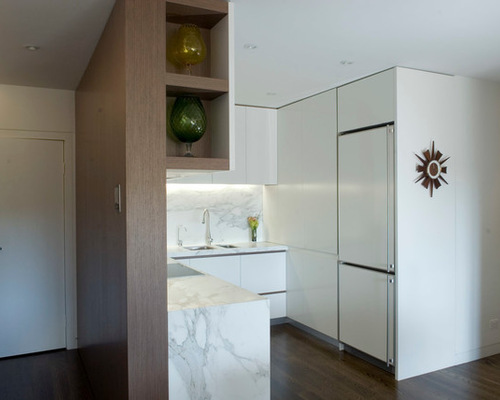 Dark Oak open shelving with white gloss kitchen cabinets. 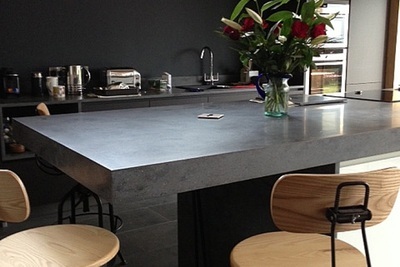 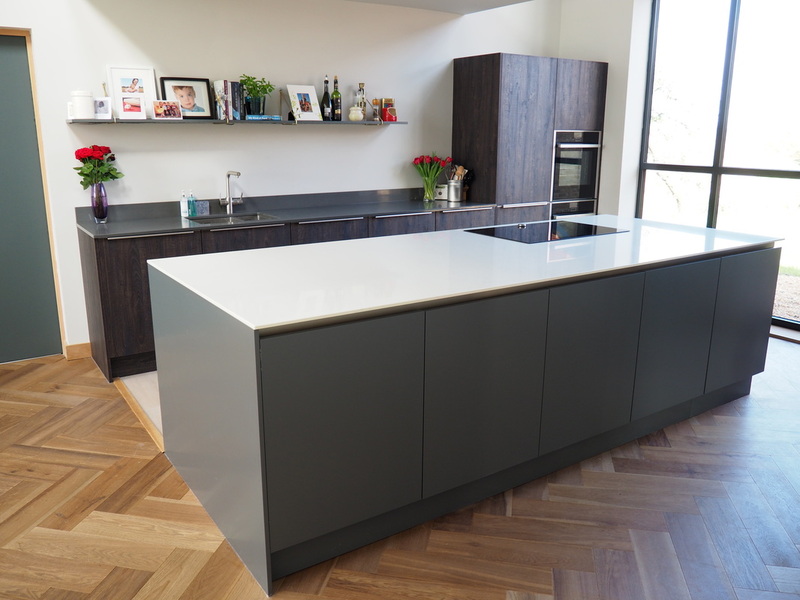 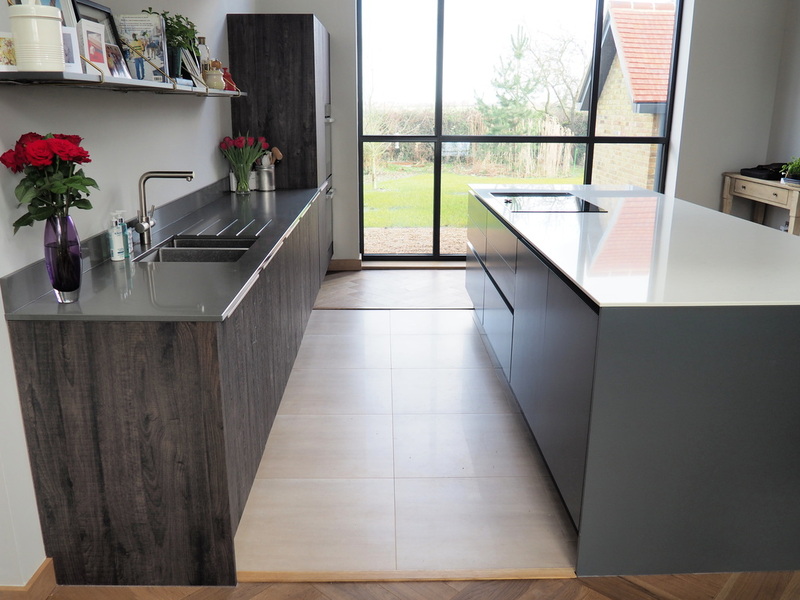 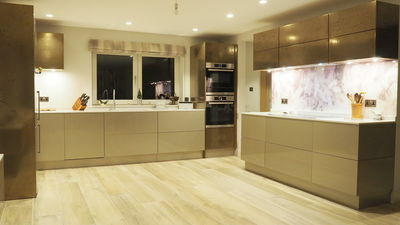 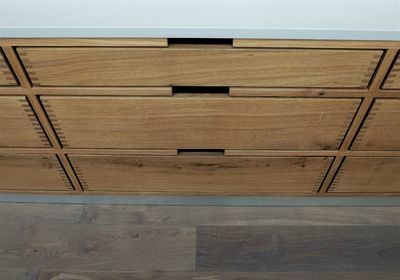 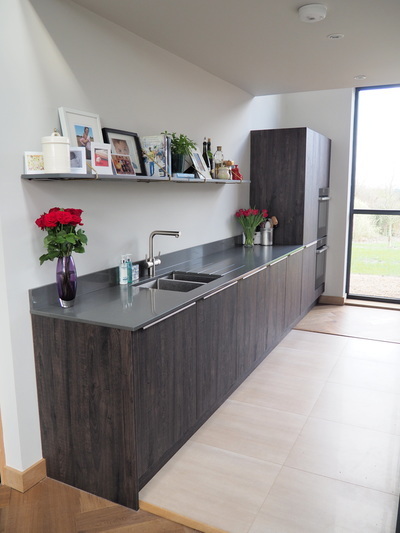 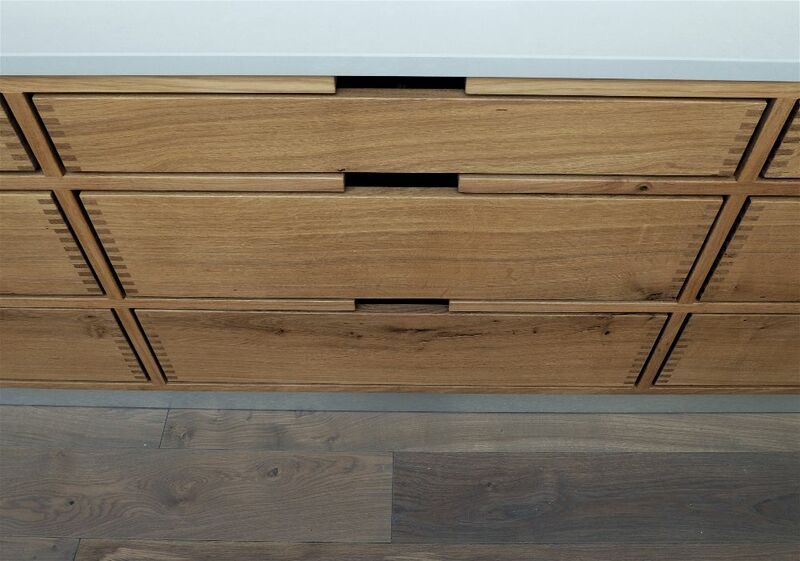 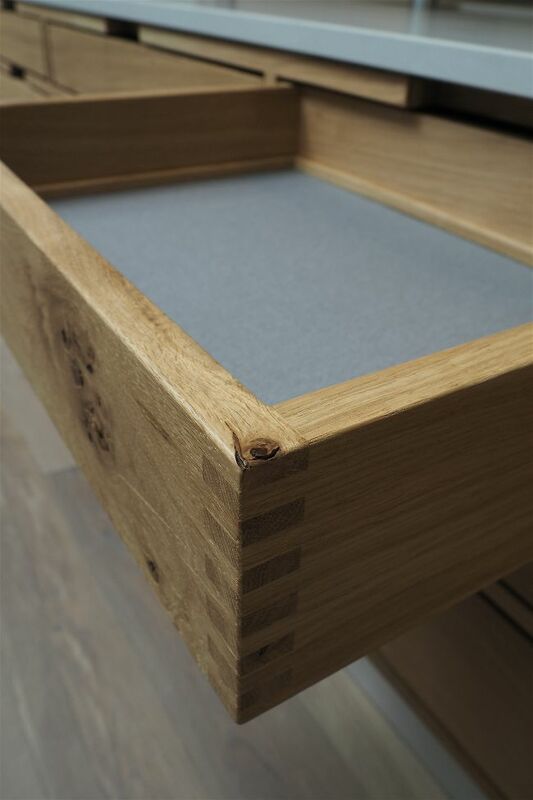 Dark Tabac Oak with dark grey handleless island. 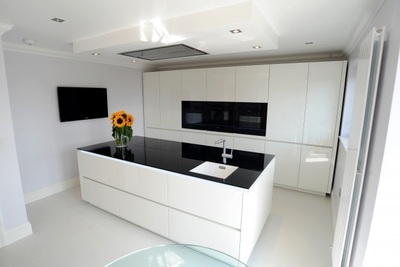 White handleless with feature surround. 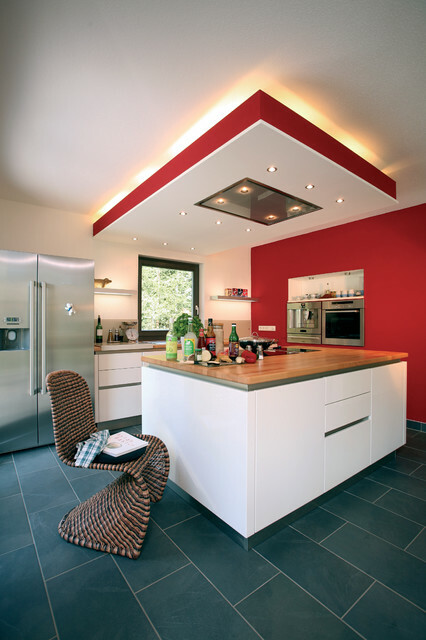 Feature extractor and feature red wall.